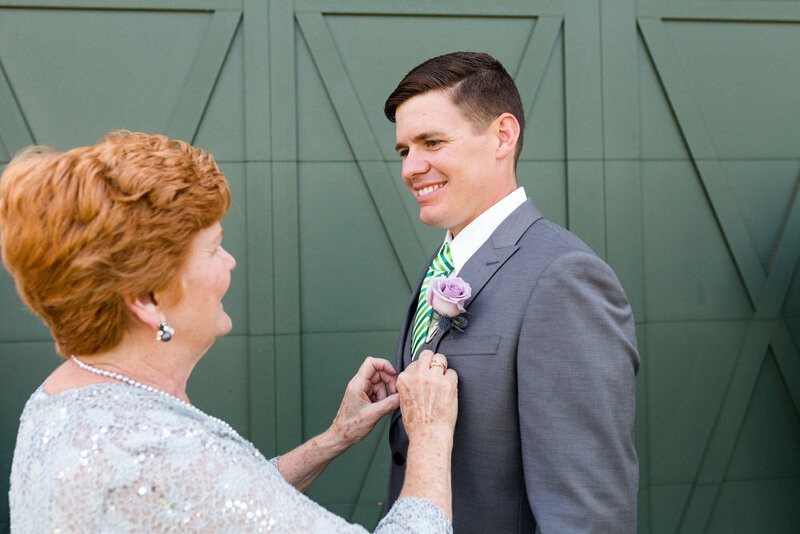 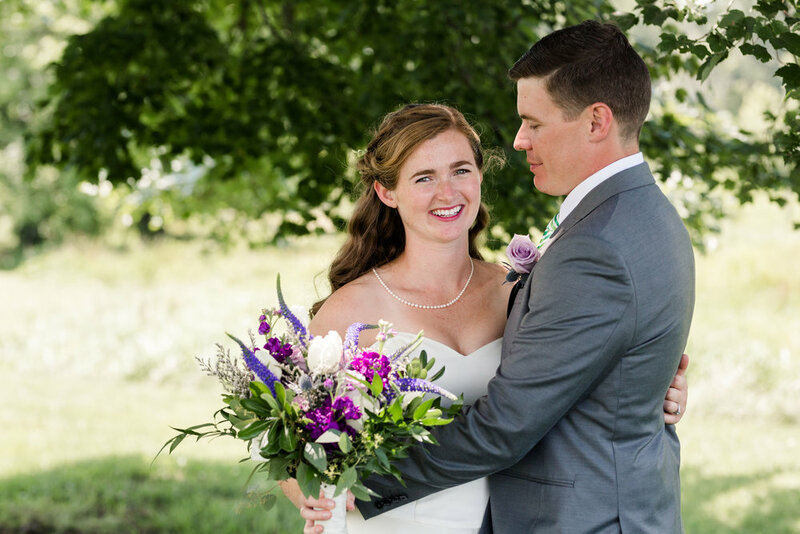 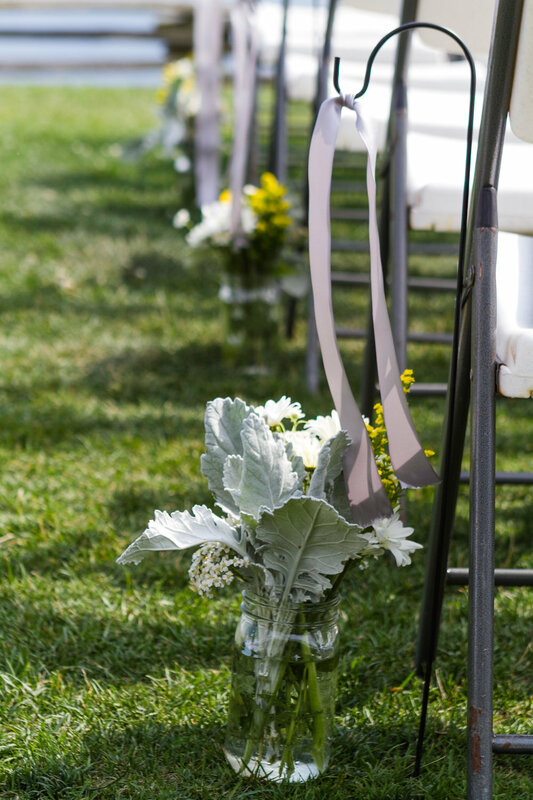 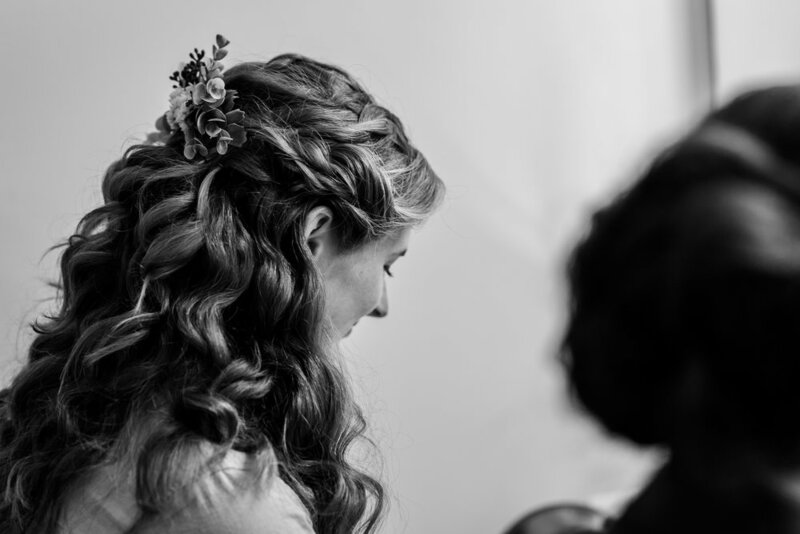 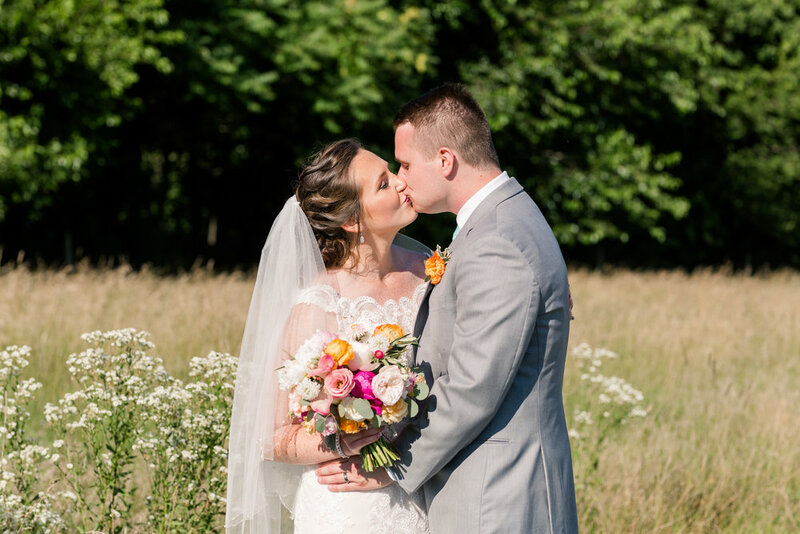 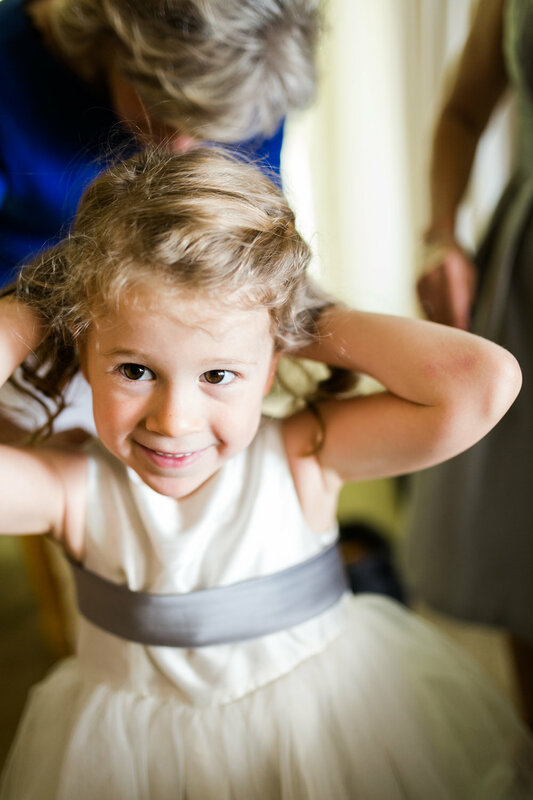 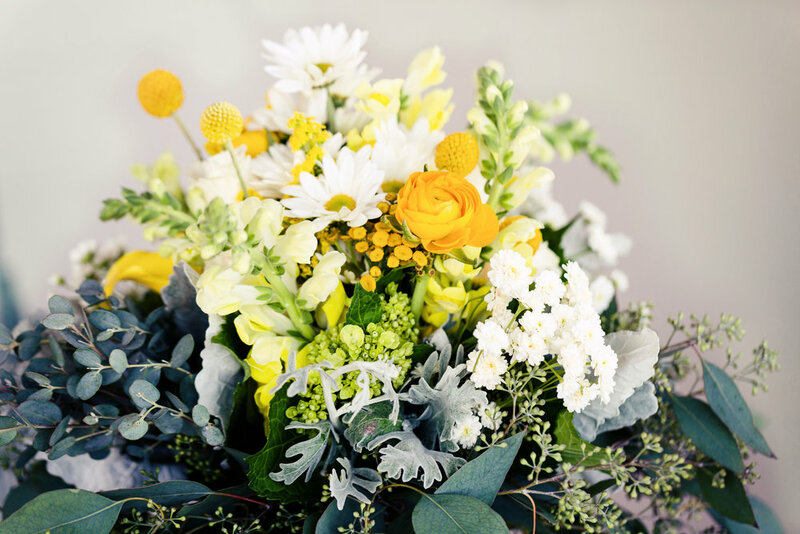 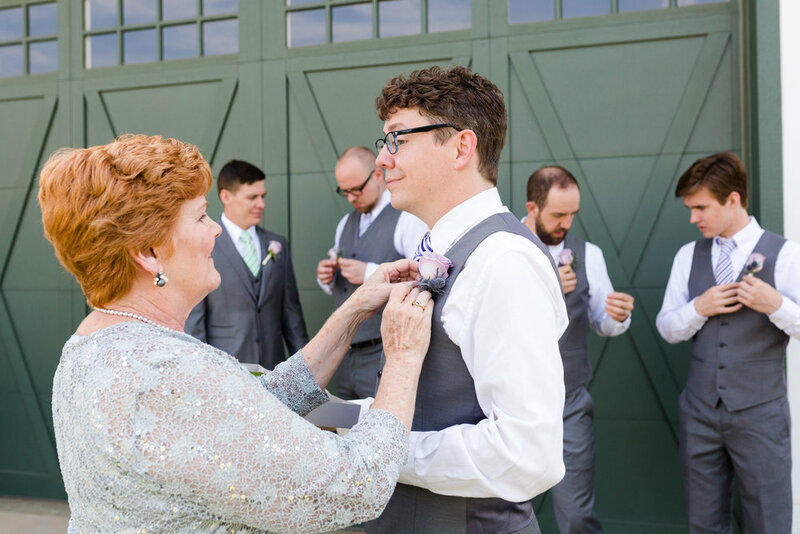 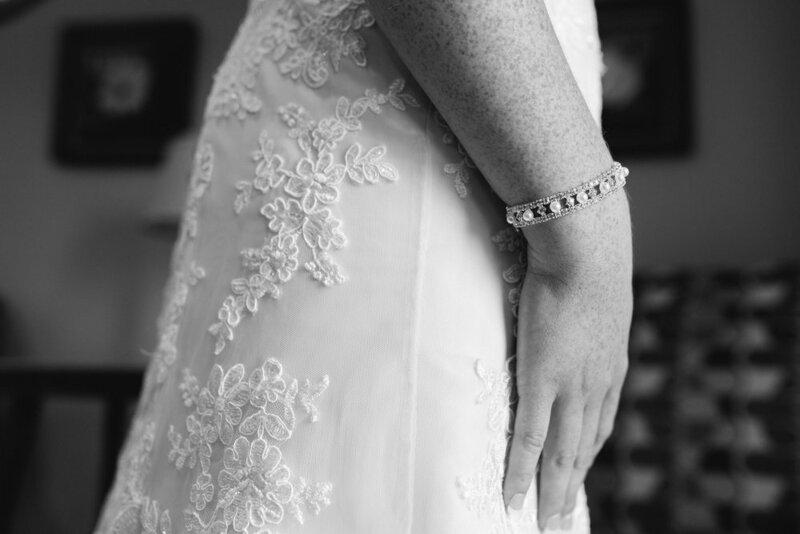 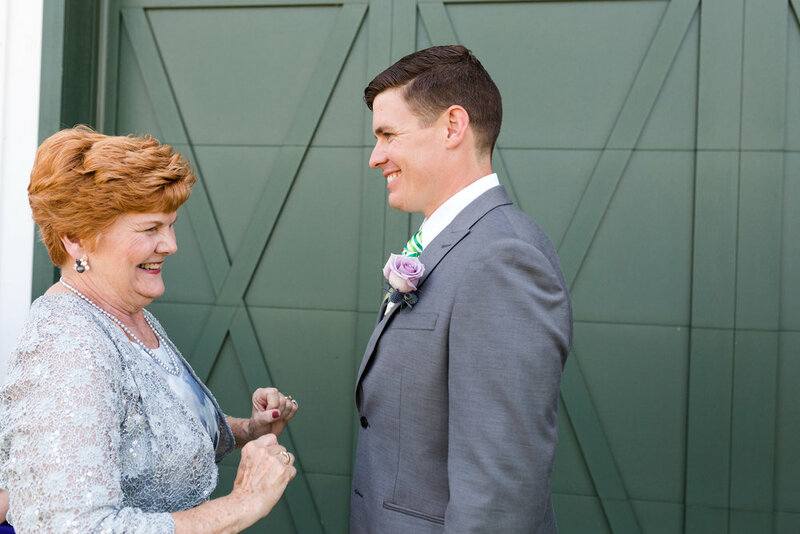 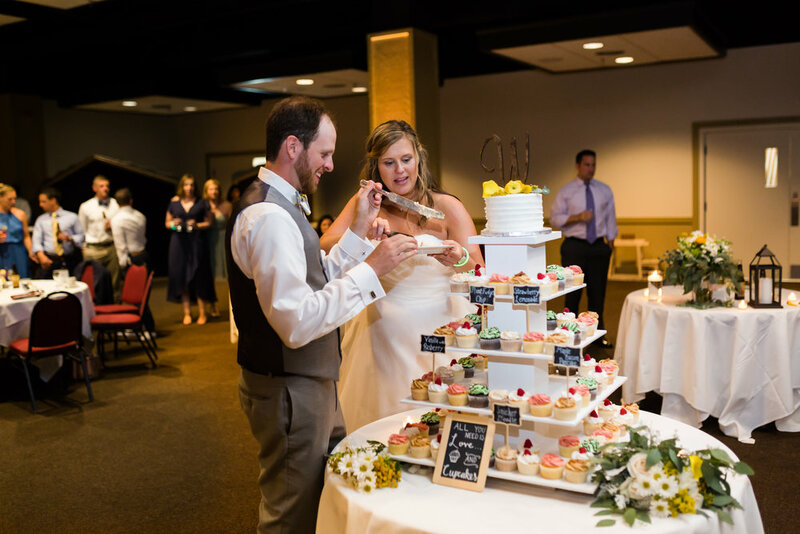 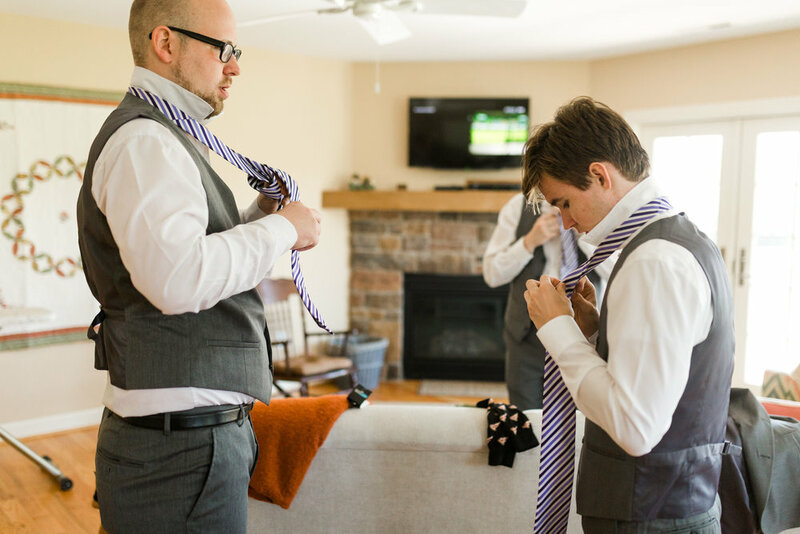 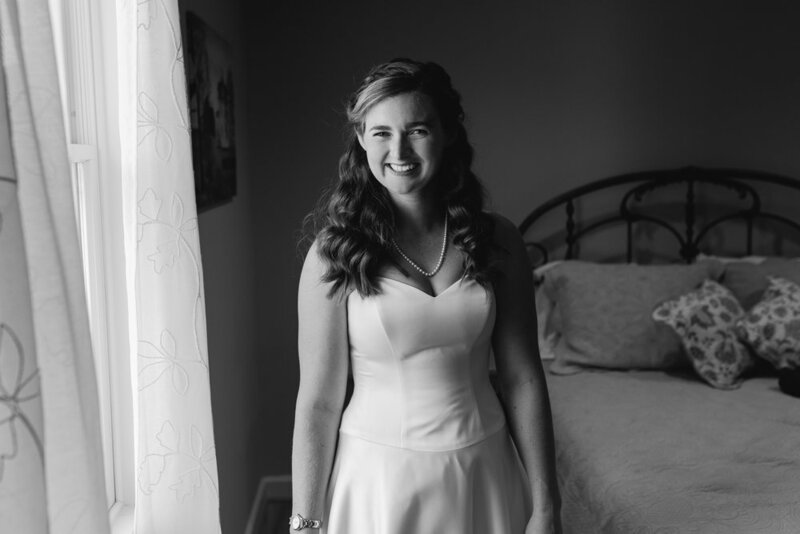 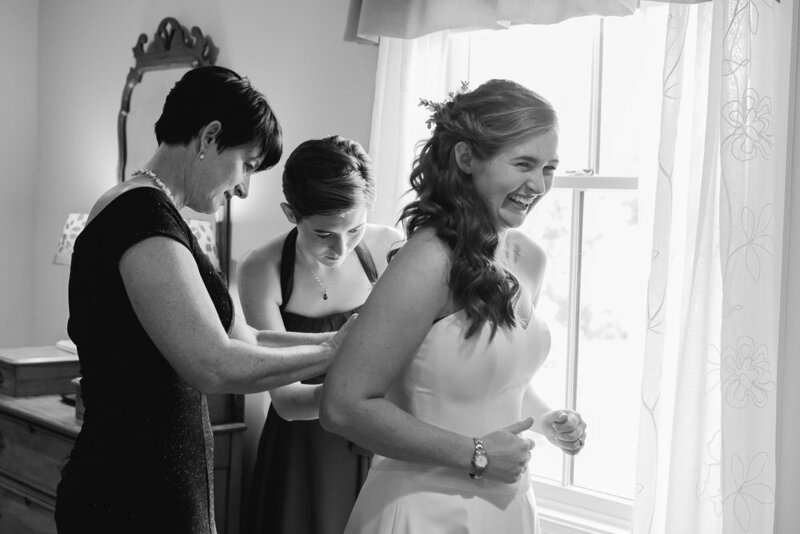 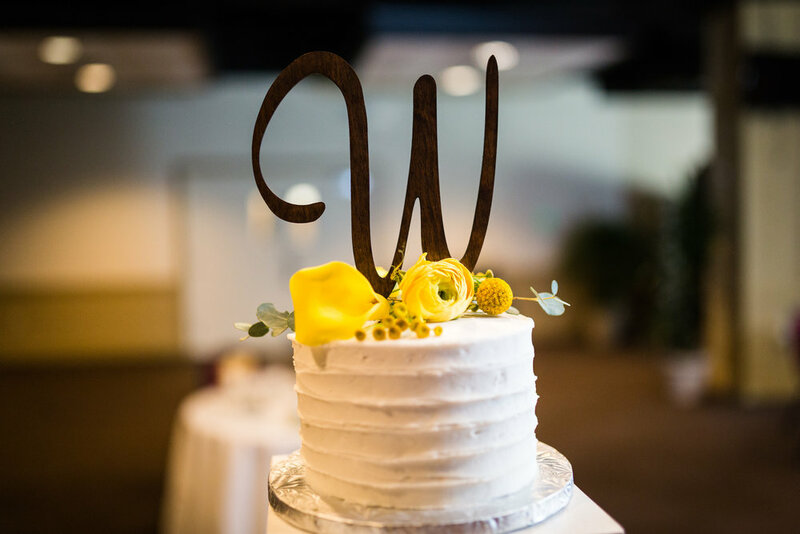 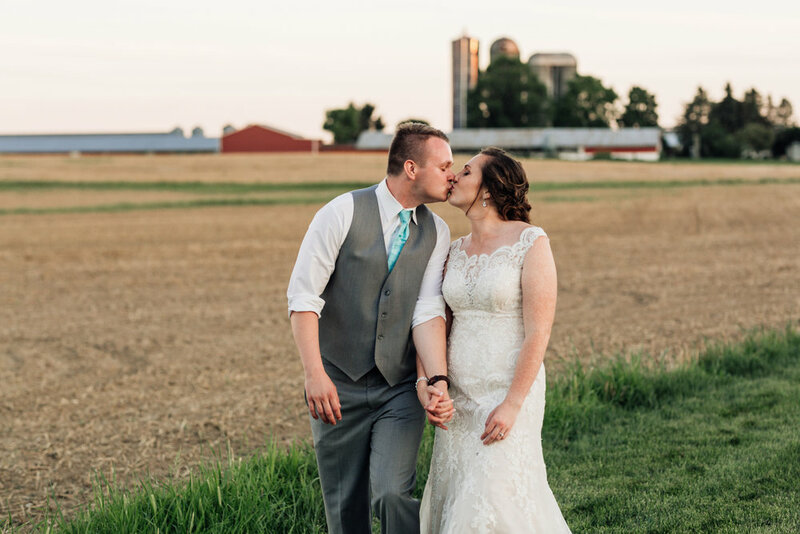 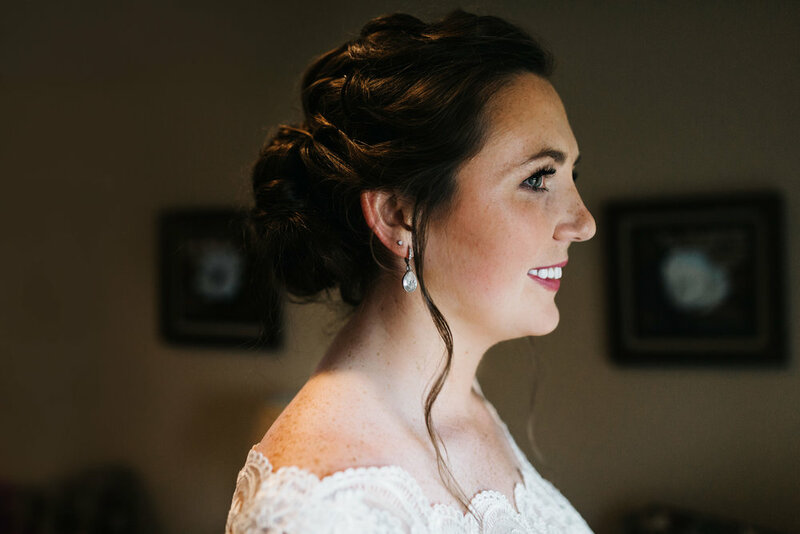 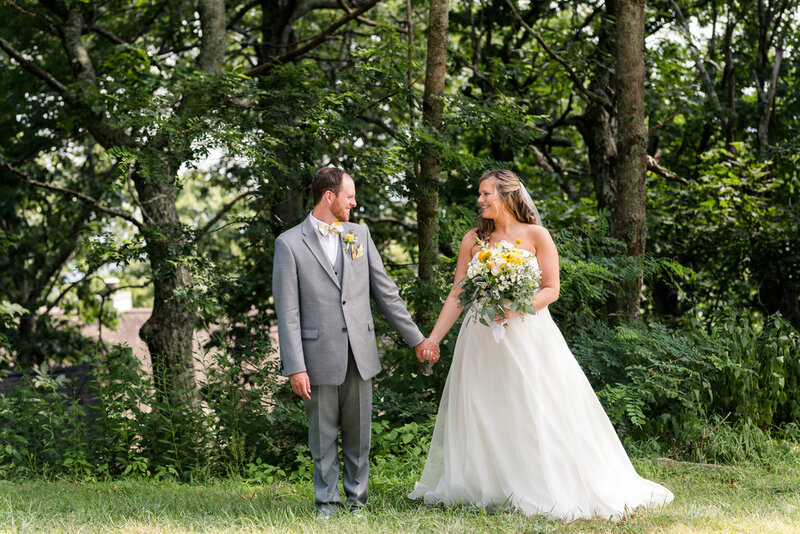 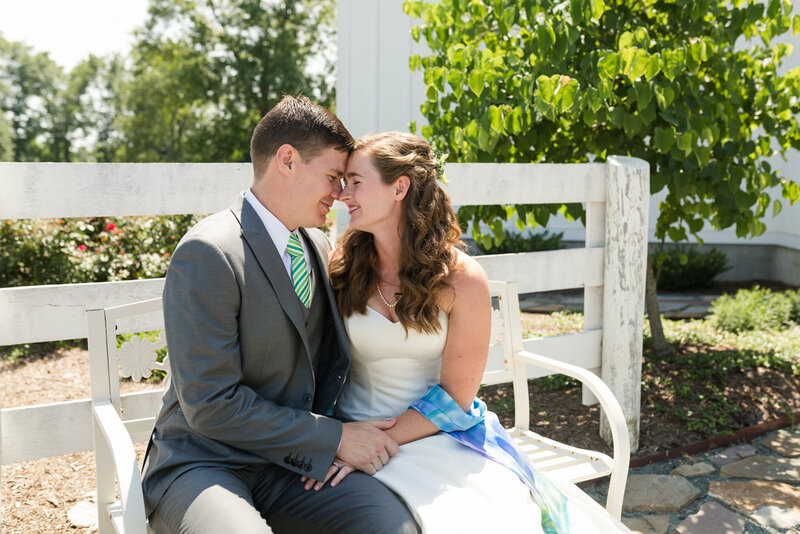 Emily and Bill were married at a beautiful wedding venue on a hot summer day with their closest friends and family by their side. 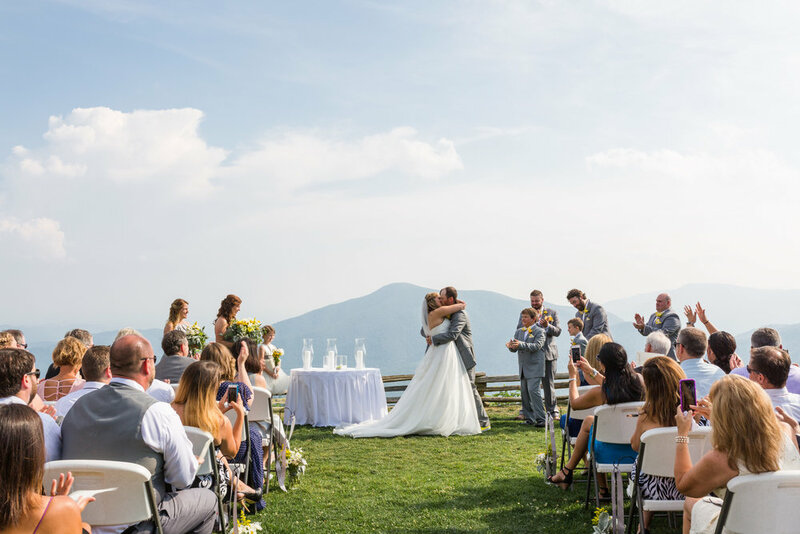 No one seemed to mind the heat of the day, as it was full of beautiful blue skies and more love than you could imagine. 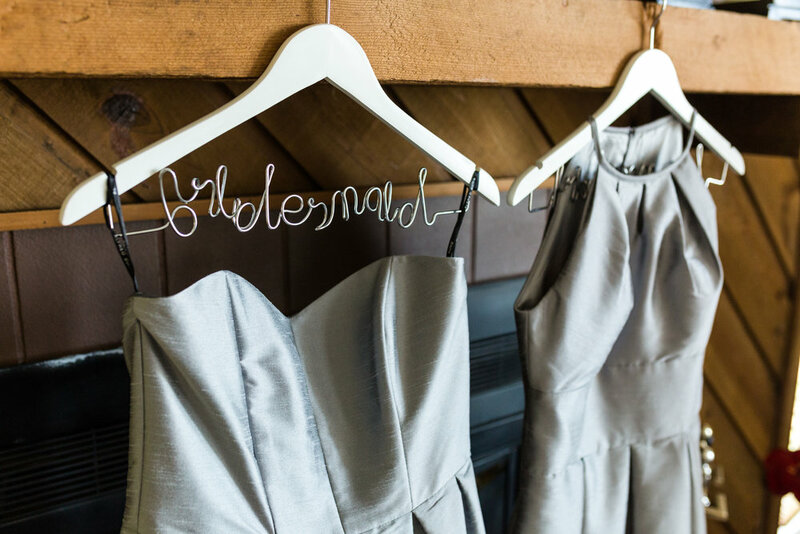 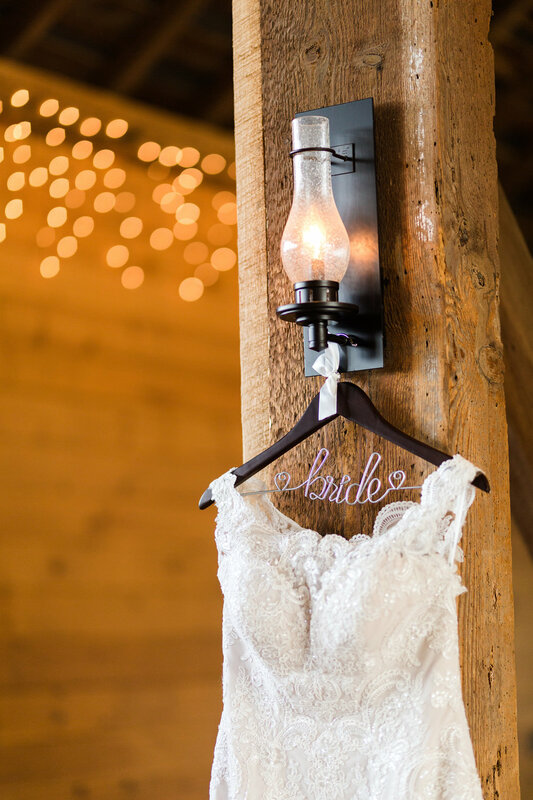 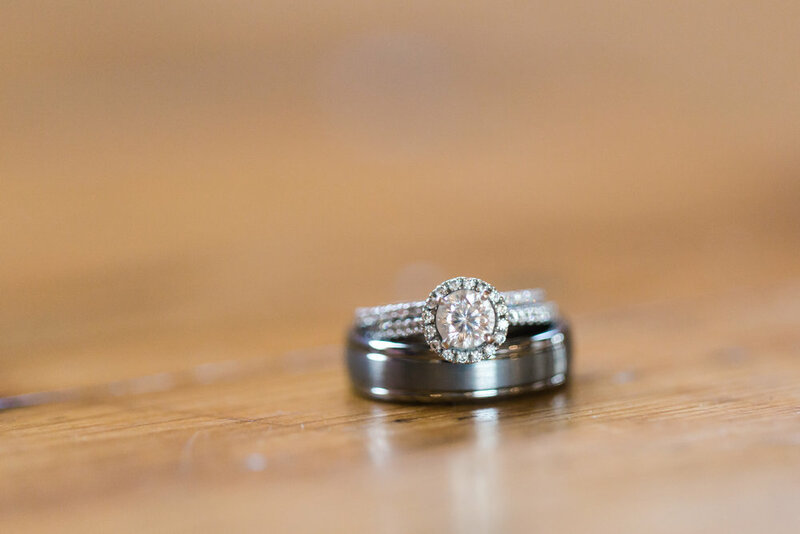 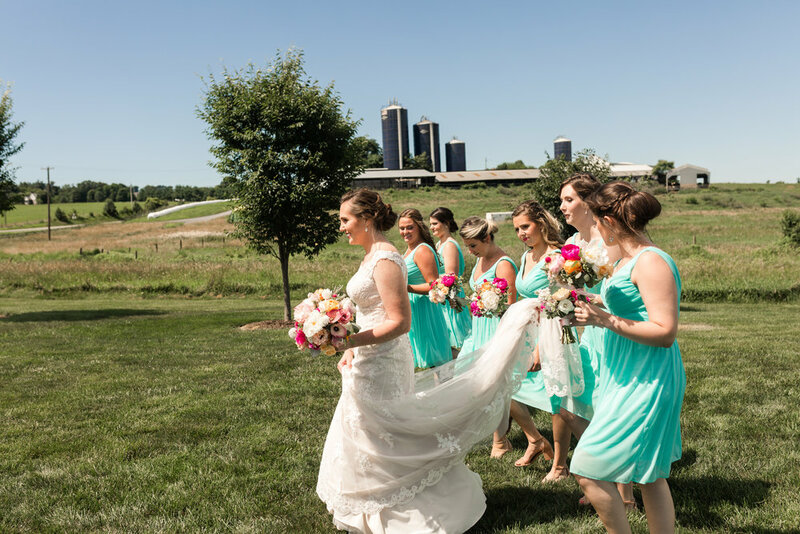 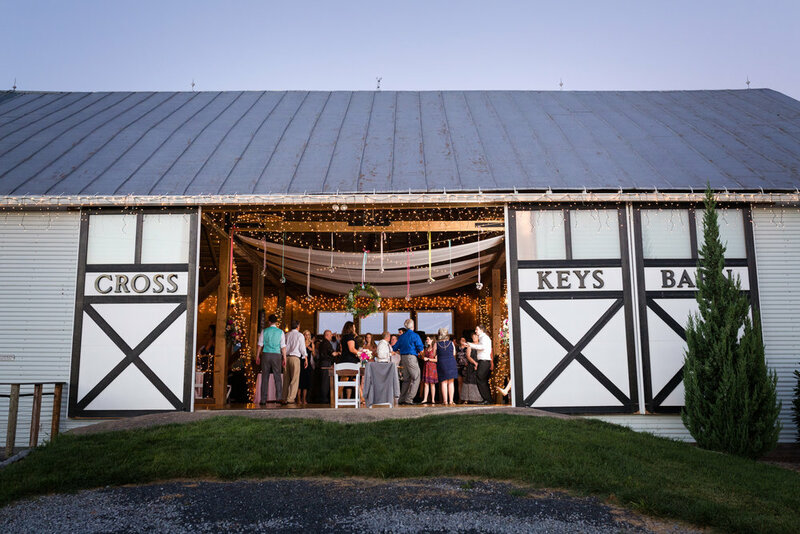 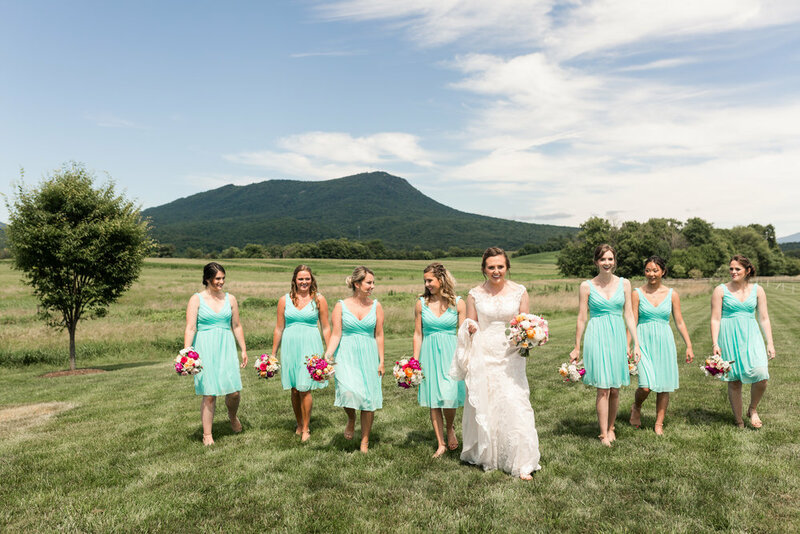 The Barn at Edgewood is a beautiful wedding venue with a renovated barn and gorgeous mountain views. 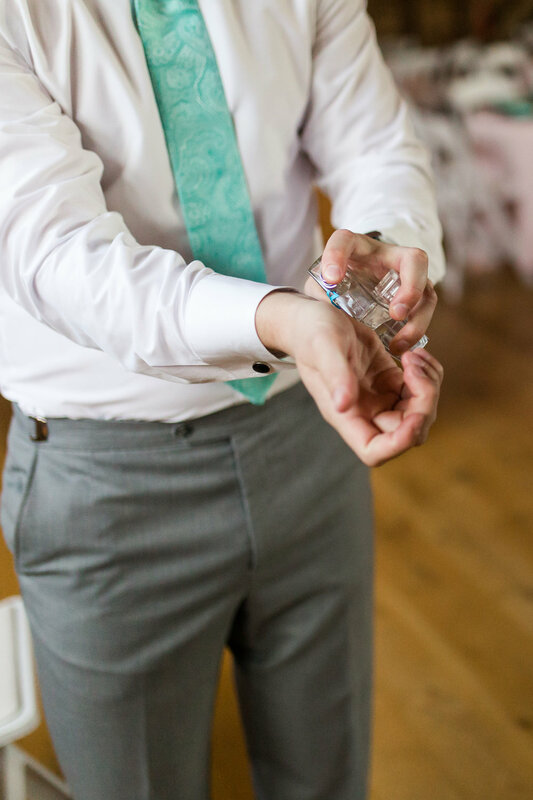 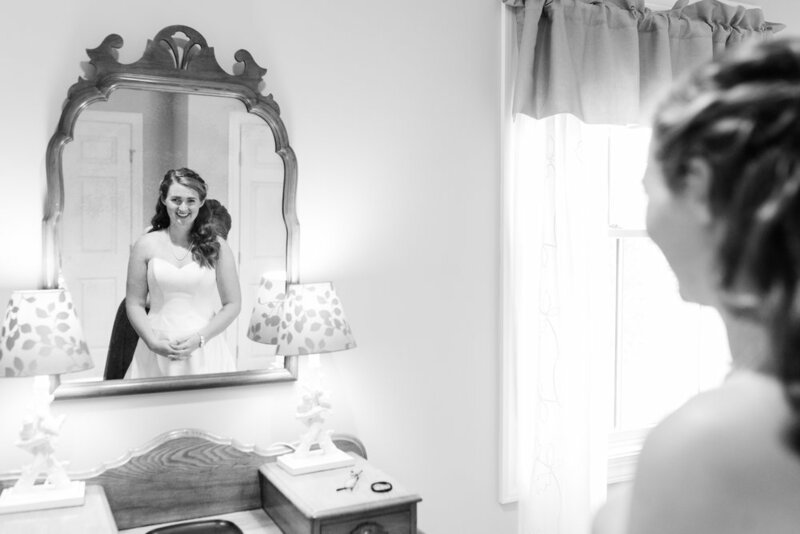 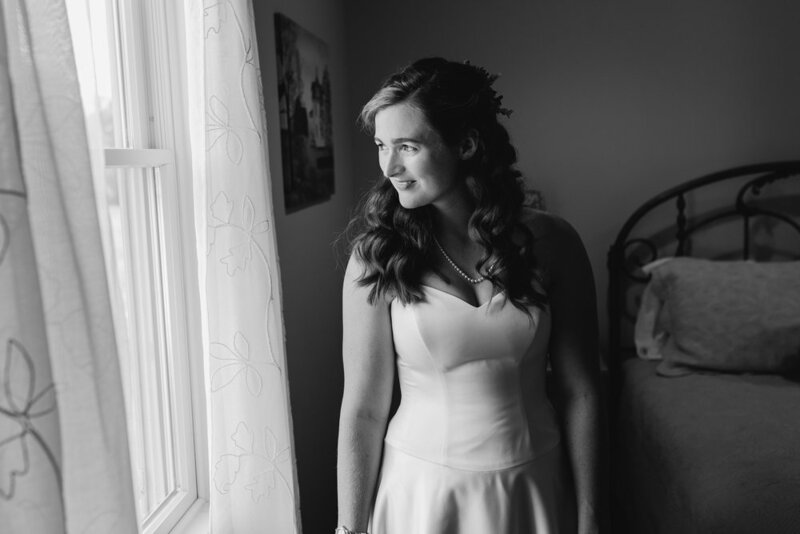 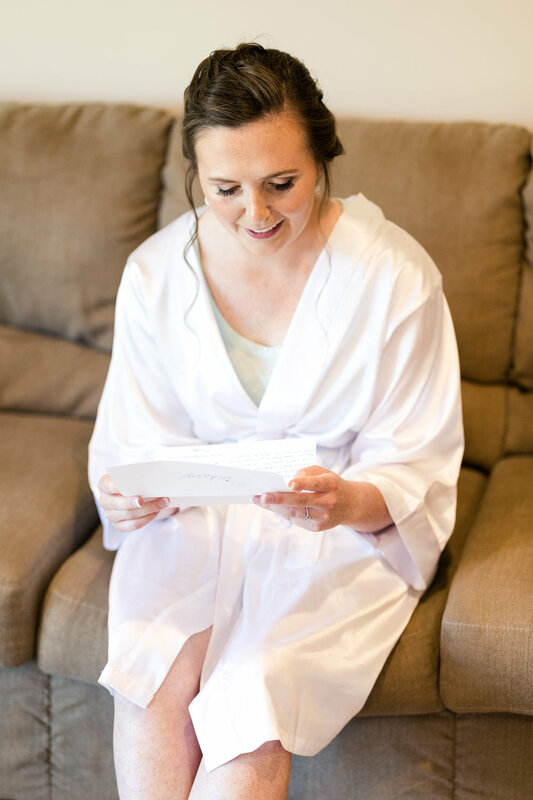 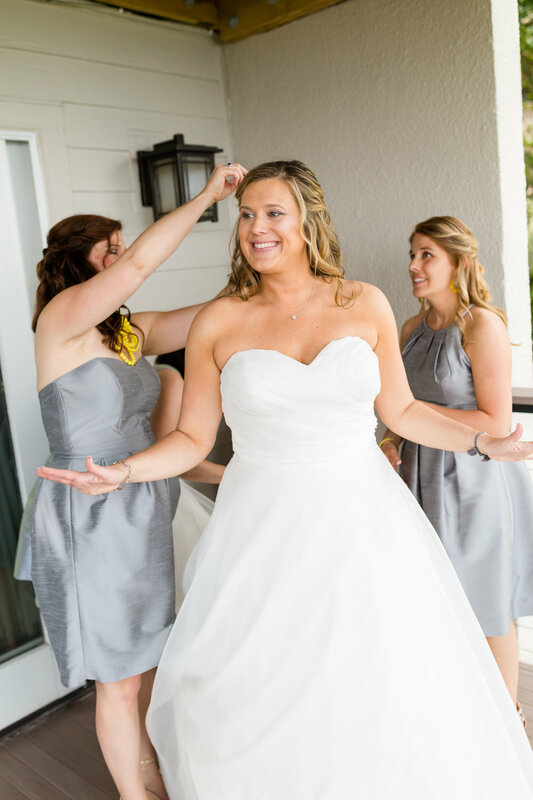 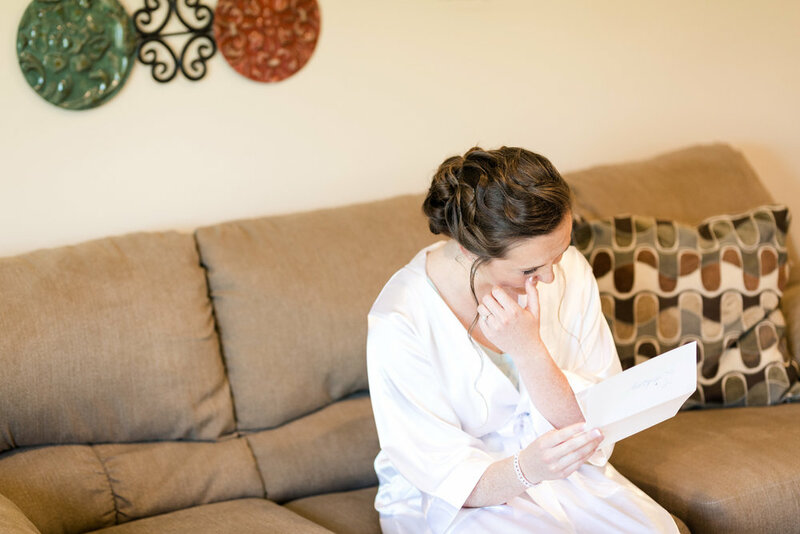 The bridal and groom suites were so spacious and filled with an abundance of natural light. 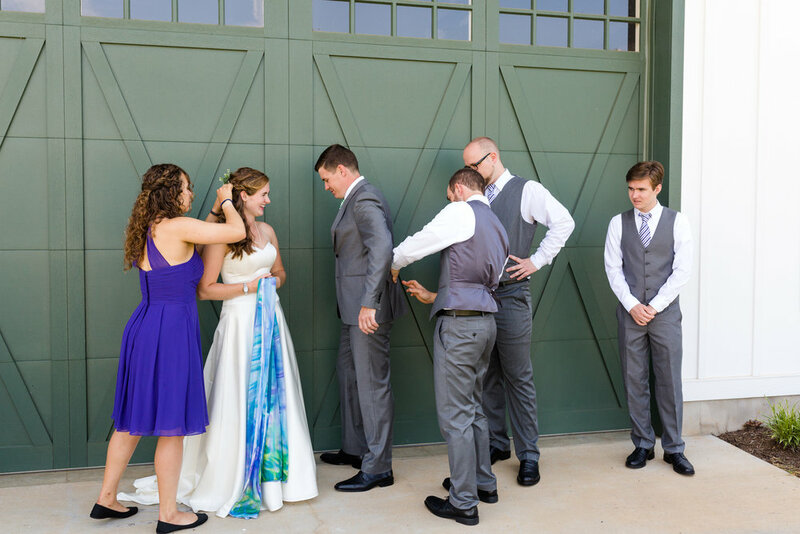 The guys and girls were full of laughs, hugs, and nervous energy as they got ready for the day. 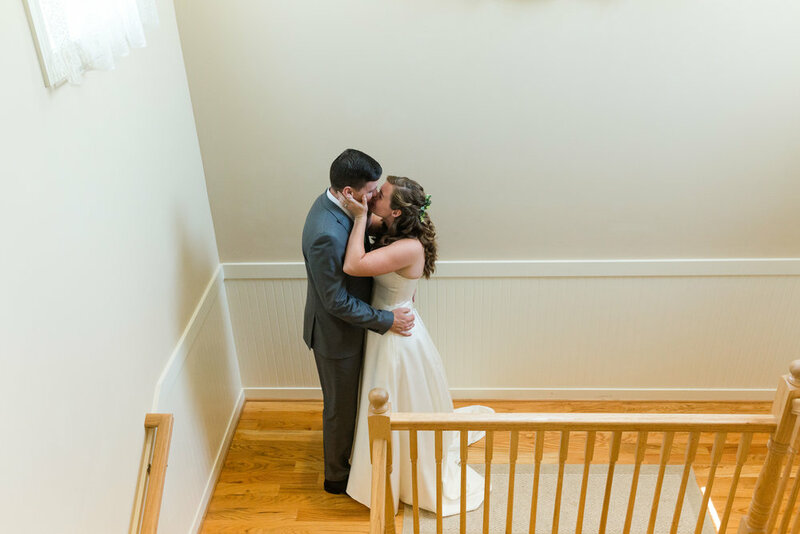 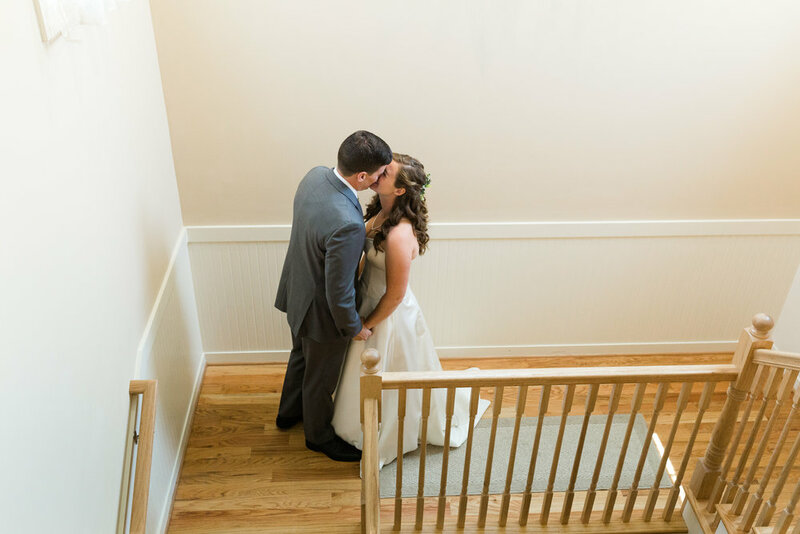 Emily and Bill had a sweet first look on the landing of the suites before going out into the heat for photos. 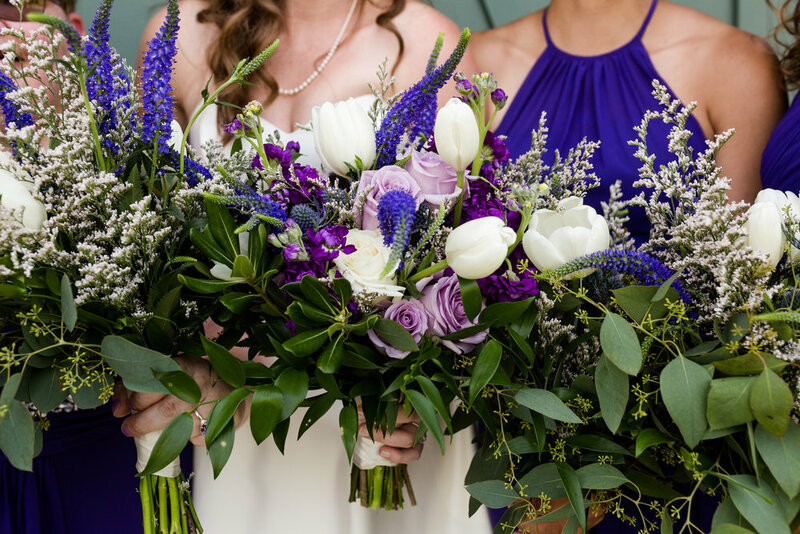 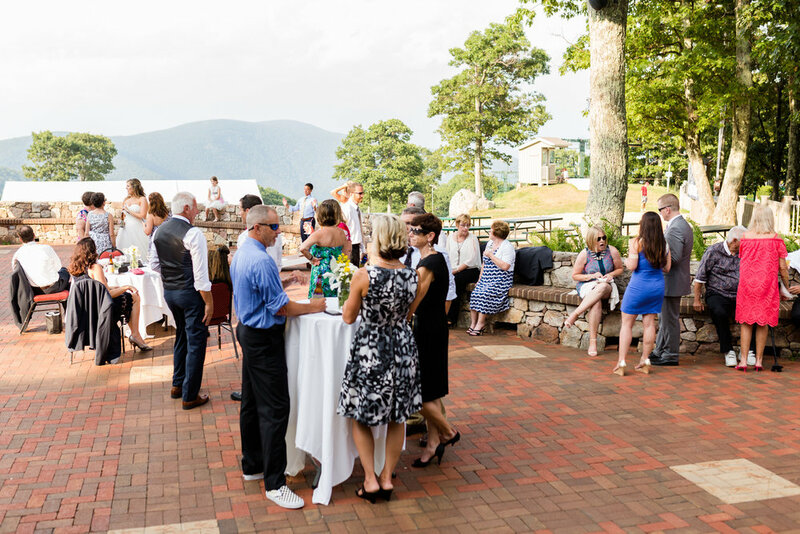 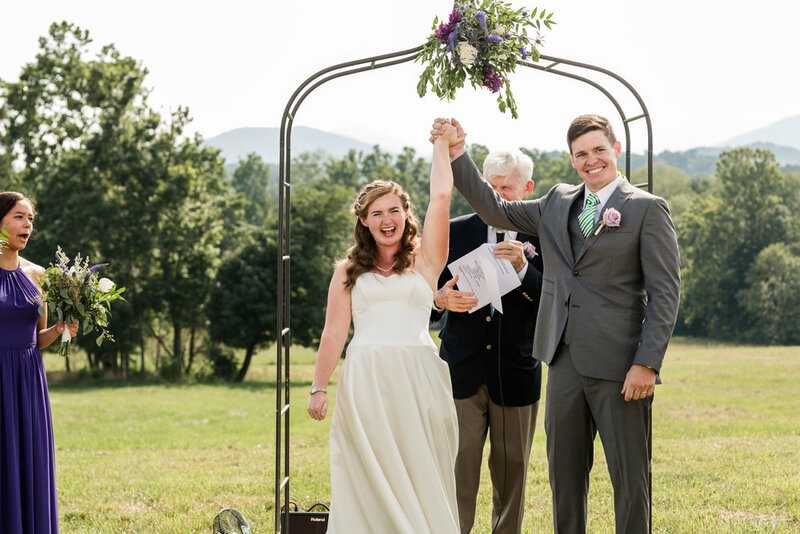 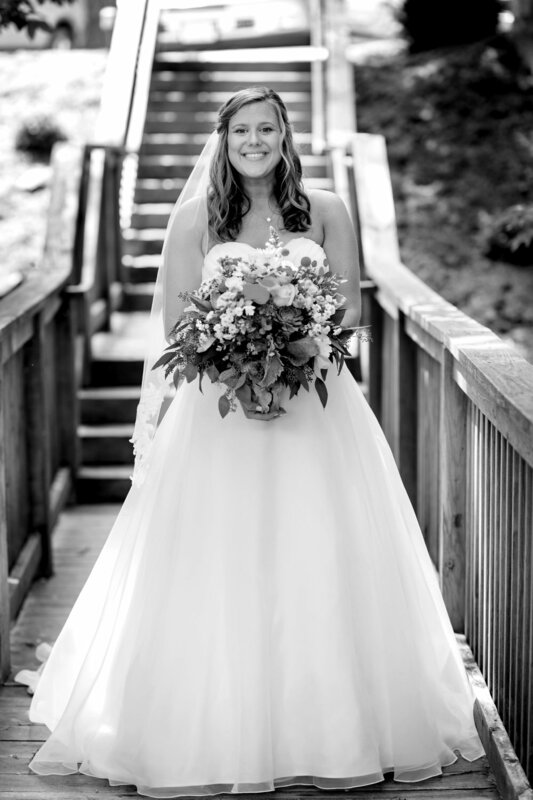 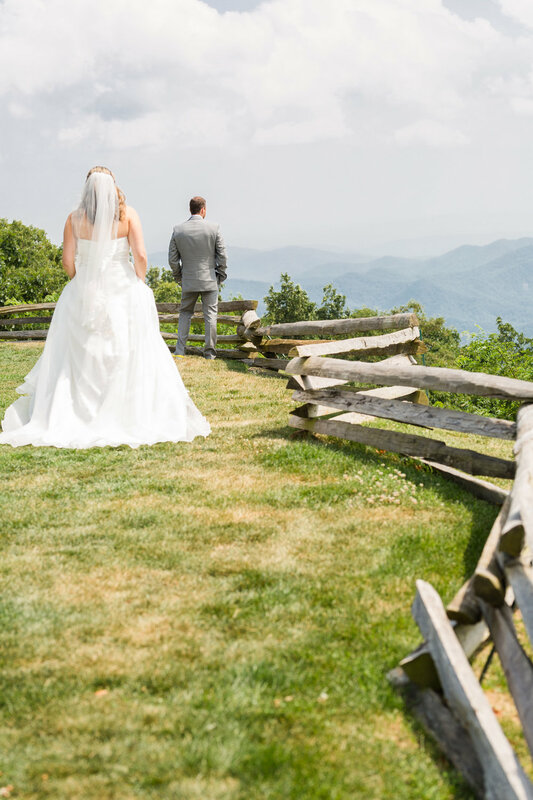 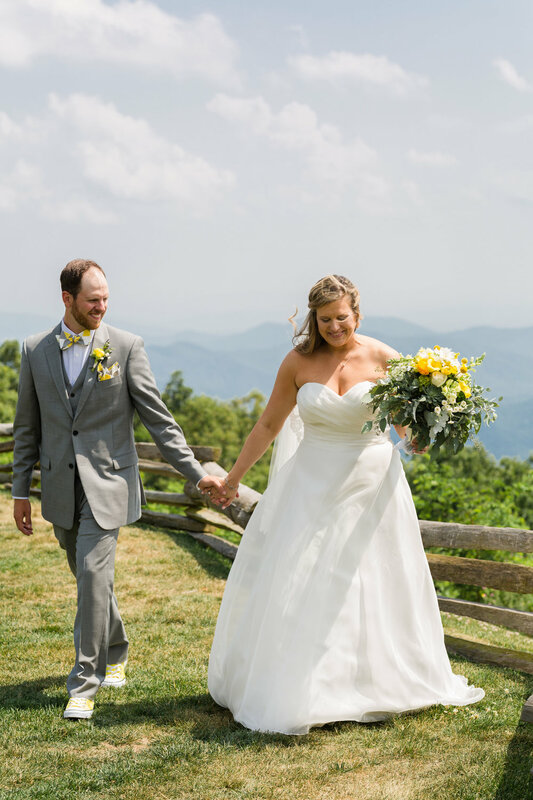 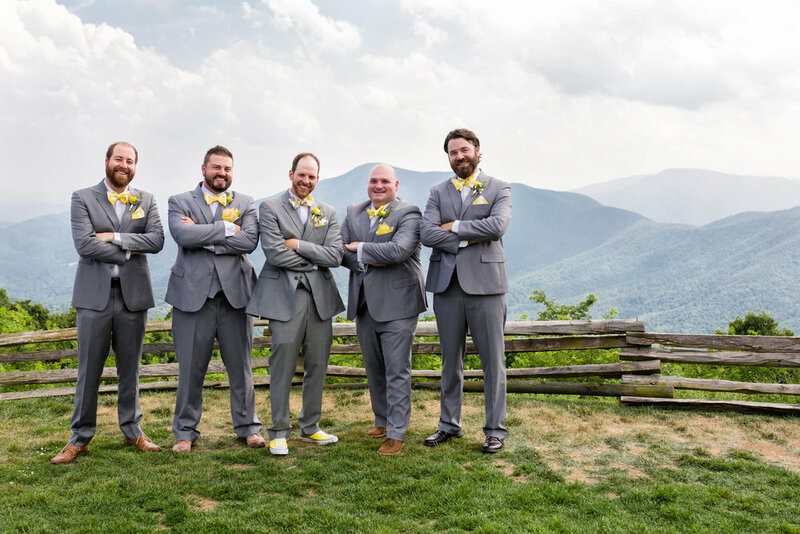 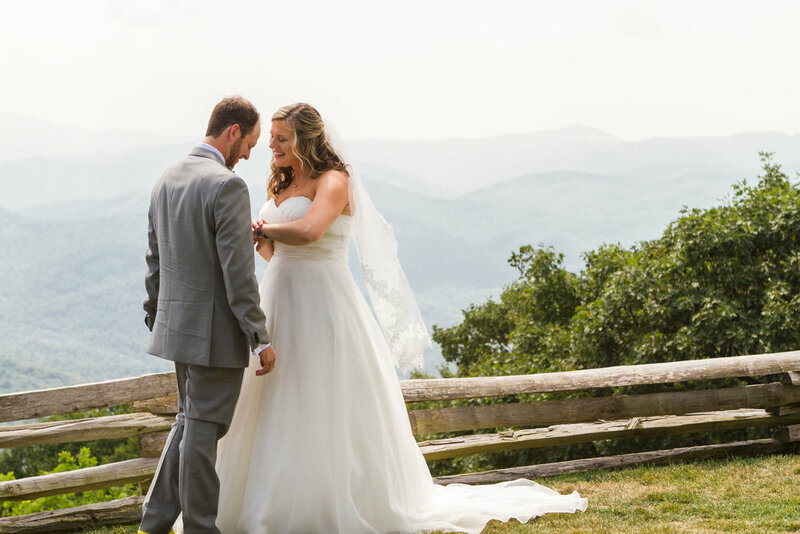 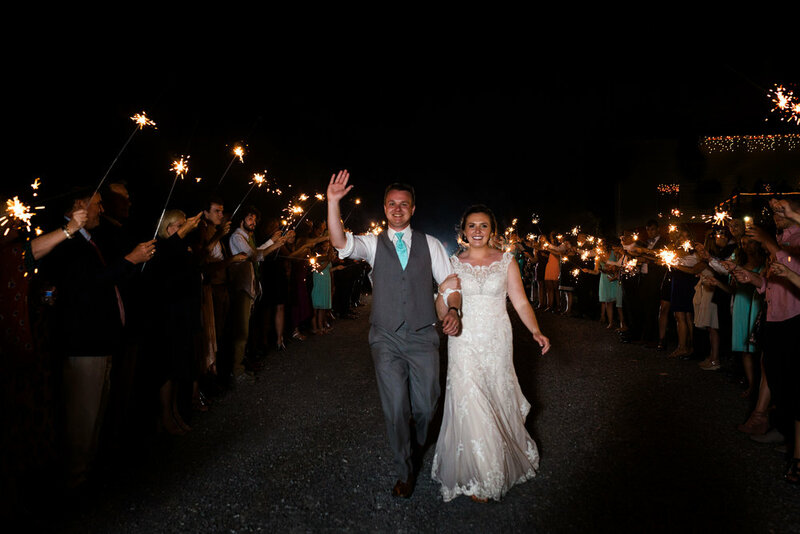 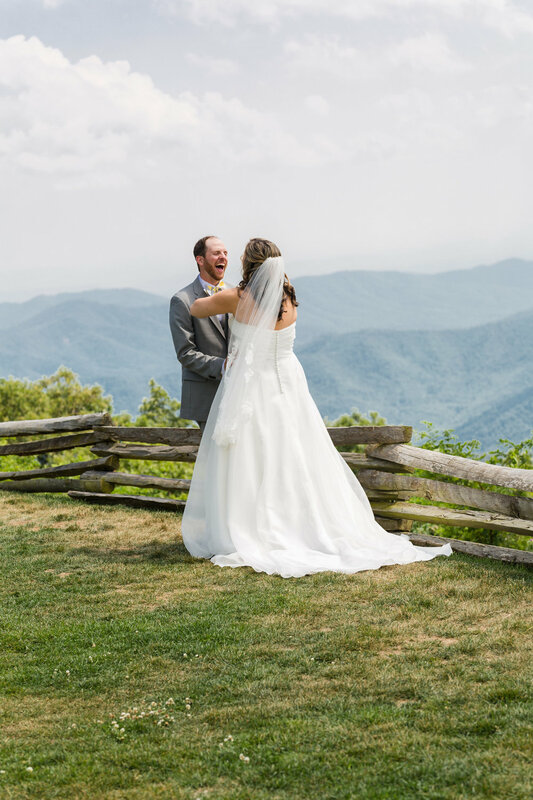 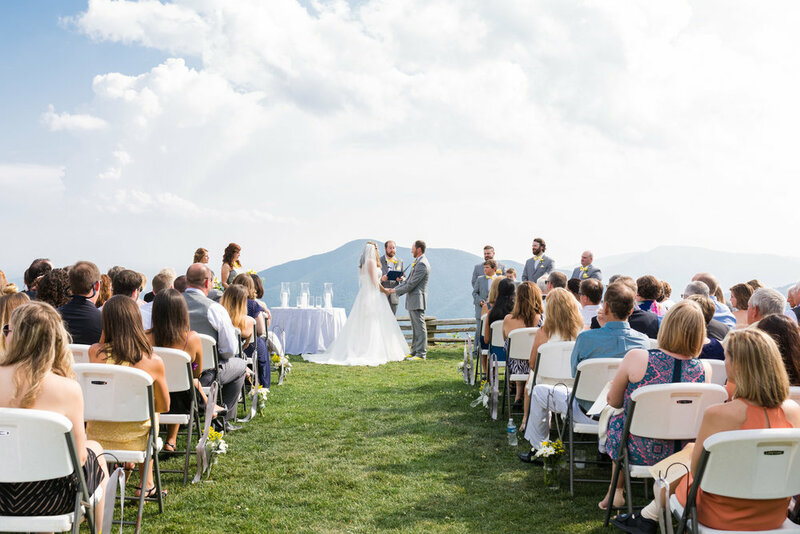 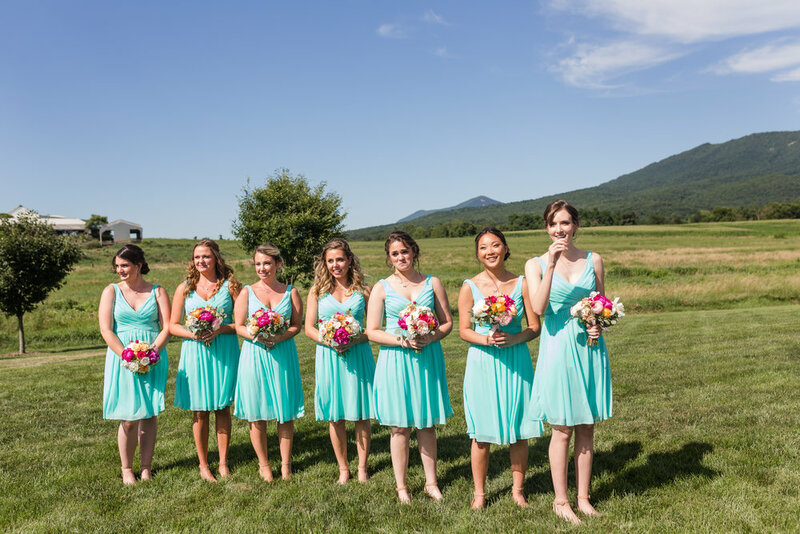 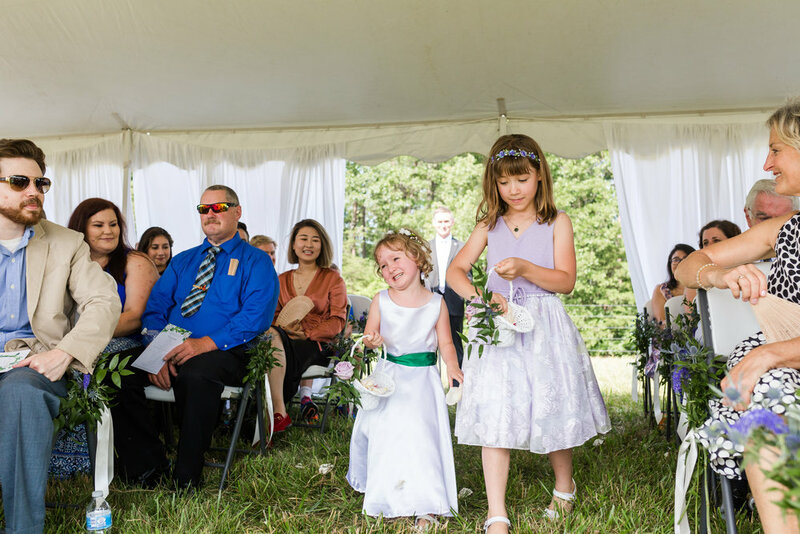 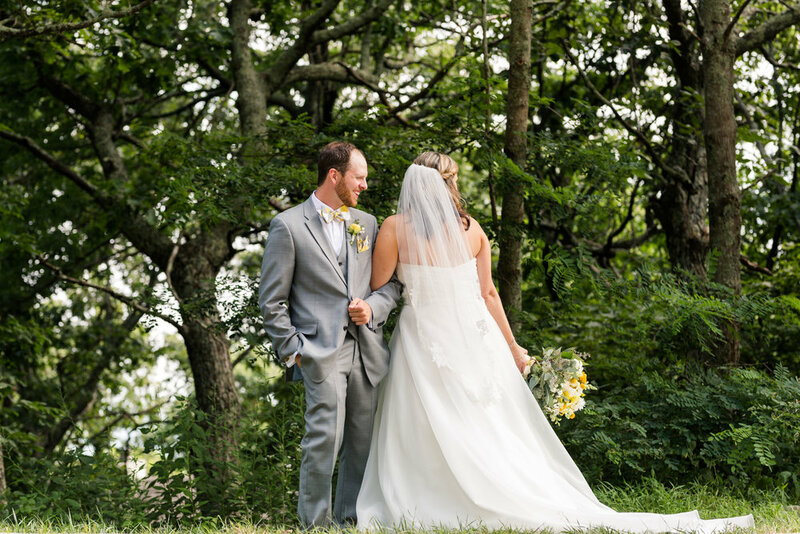 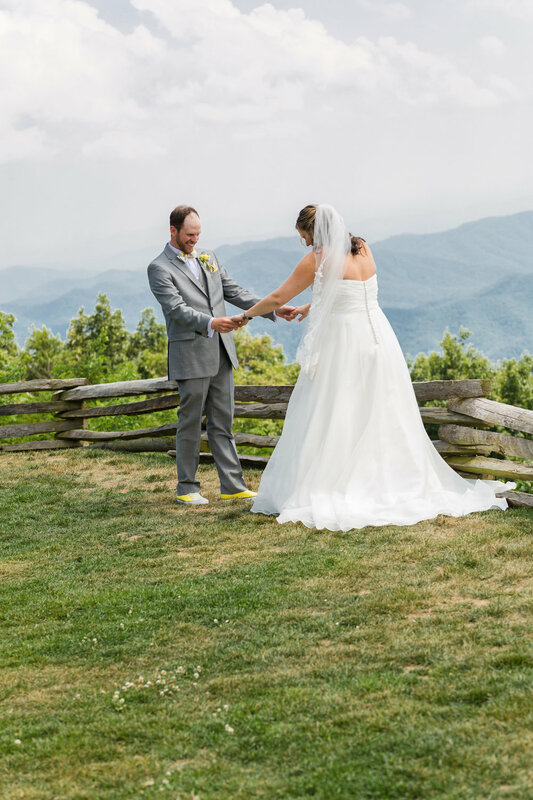 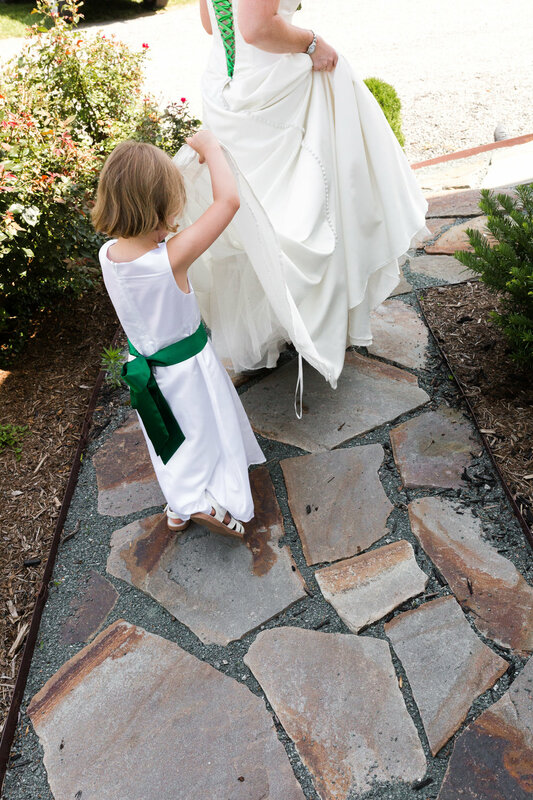 Their summer wedding ceremony was held outside with the perfect view of the Blue Ridge Mountains. 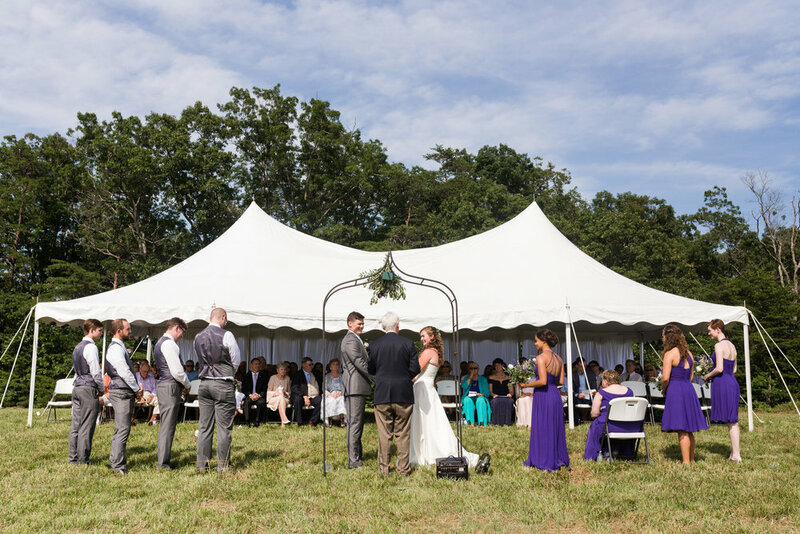 They set up a tent for guests to get out of the sun while they said their vows under a beautiful arch. 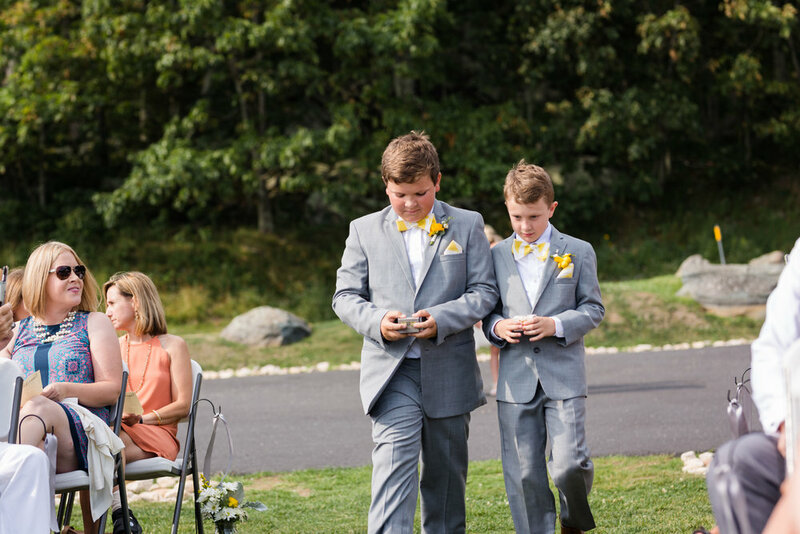 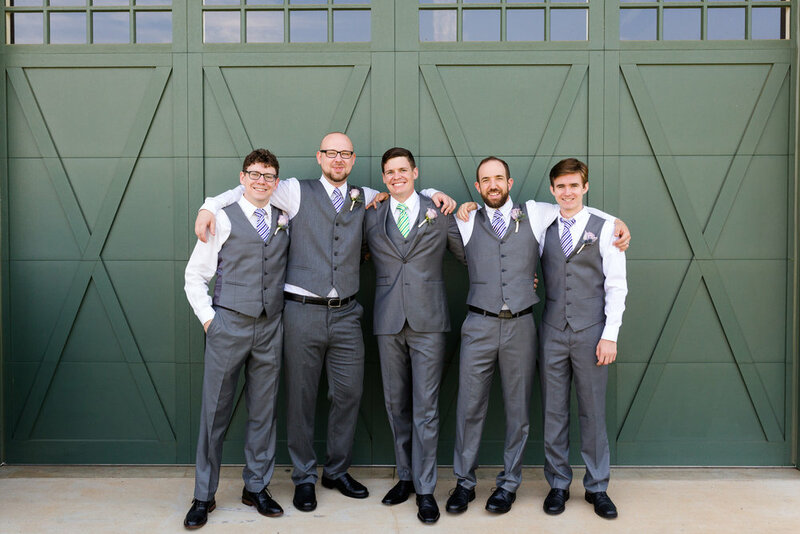 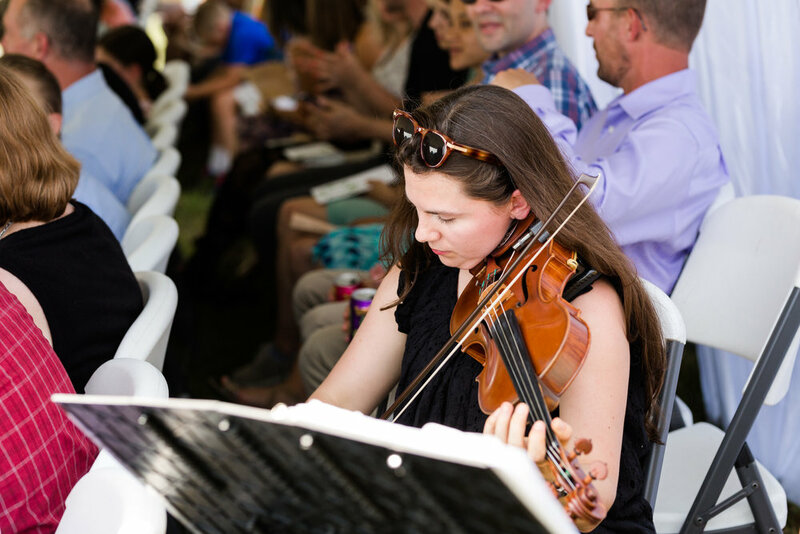 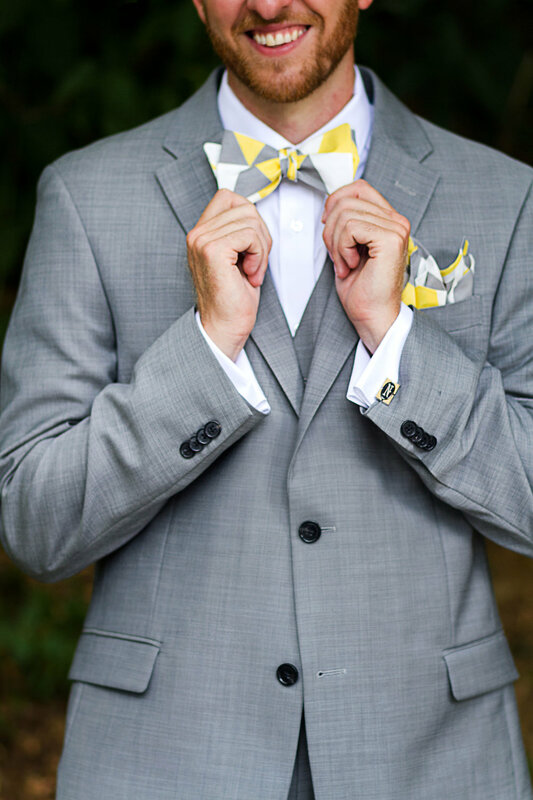 Their close friends played acoustic music for guests and the ceremony. 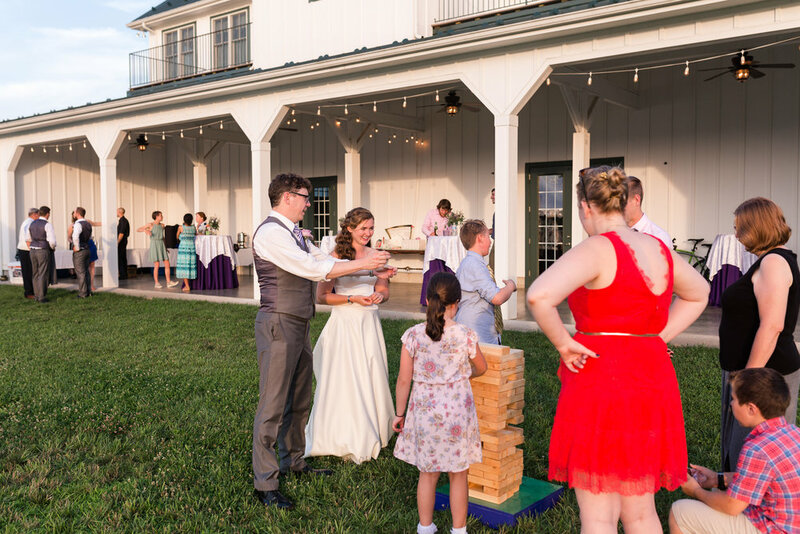 As guests arrived there was a cooler filled with cold beverages and beautiful wooden fans. 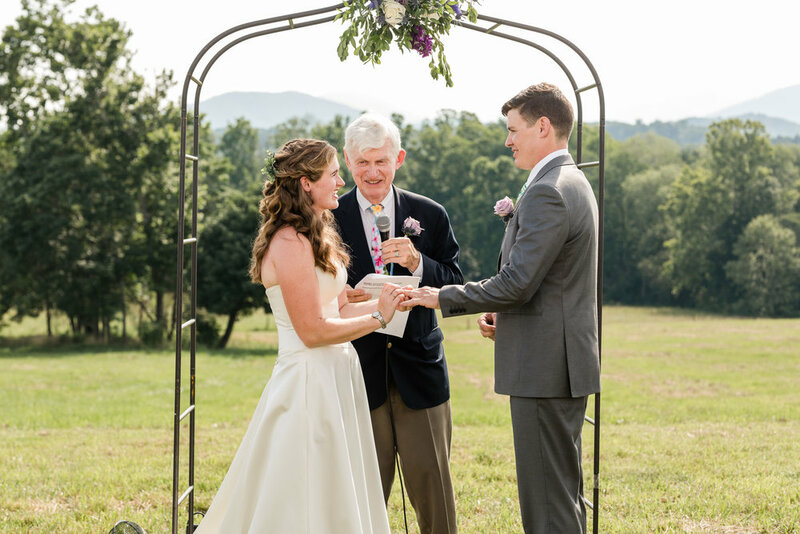 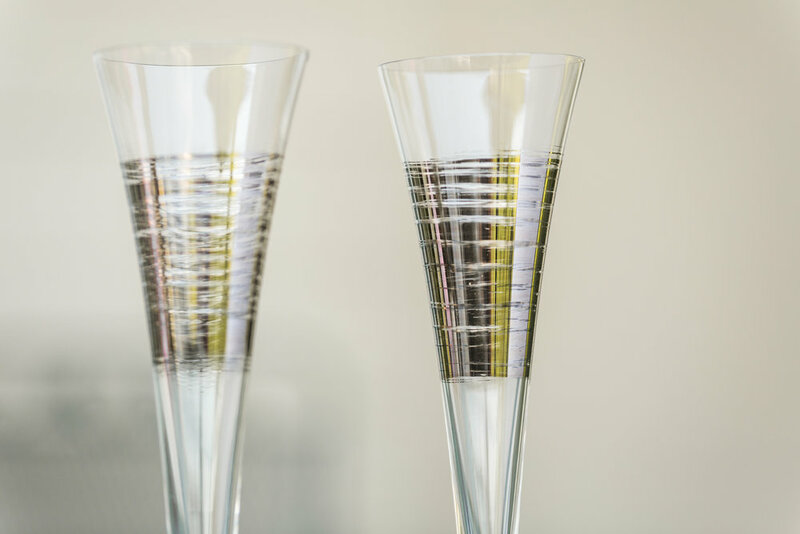 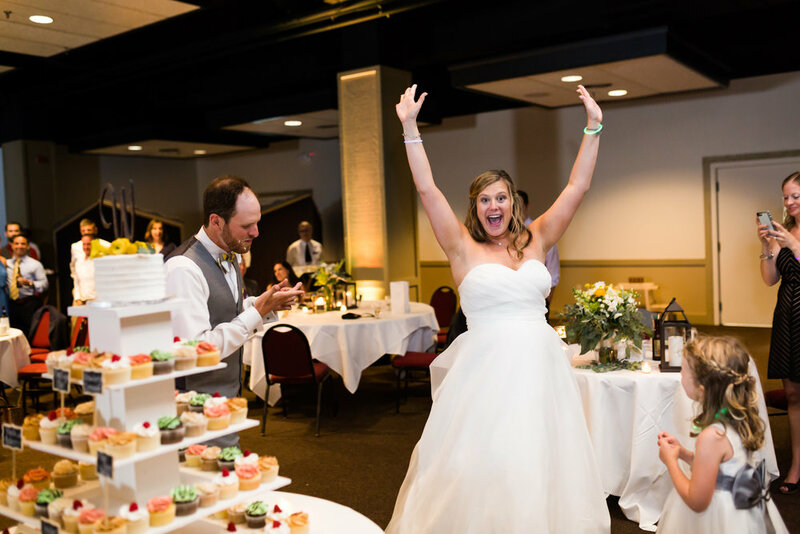 Emily and Bill planned a very personal wedding and reception. 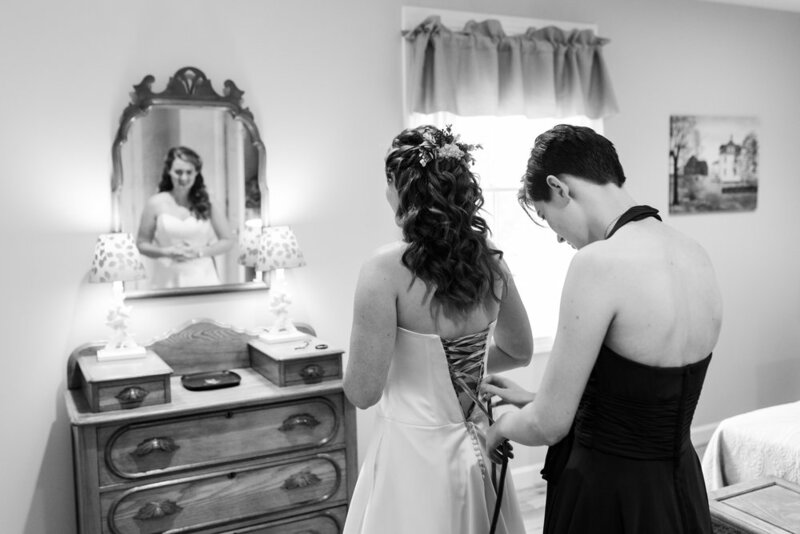 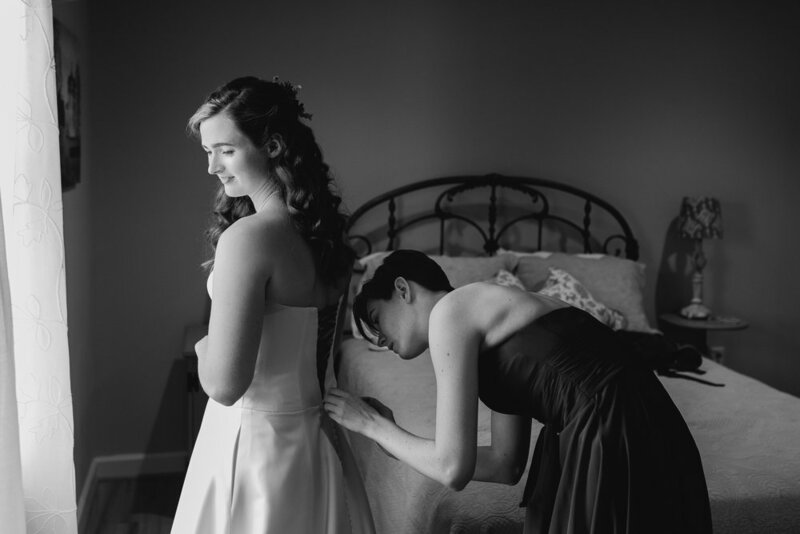 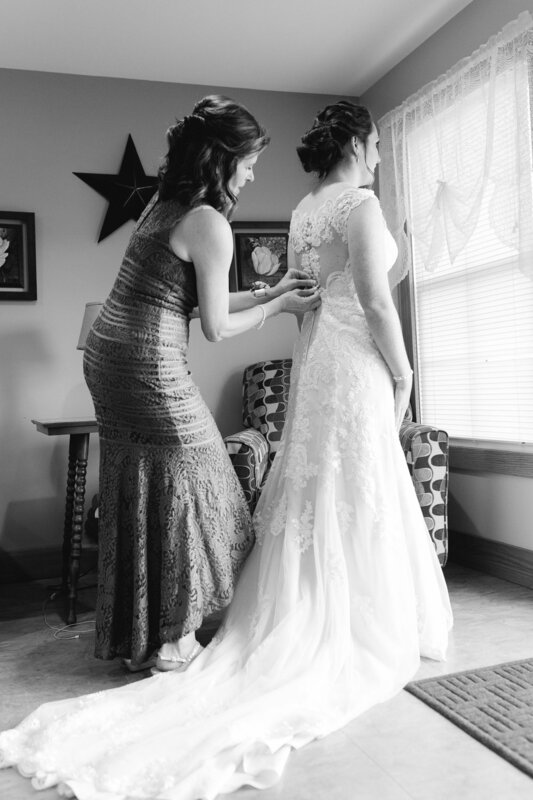 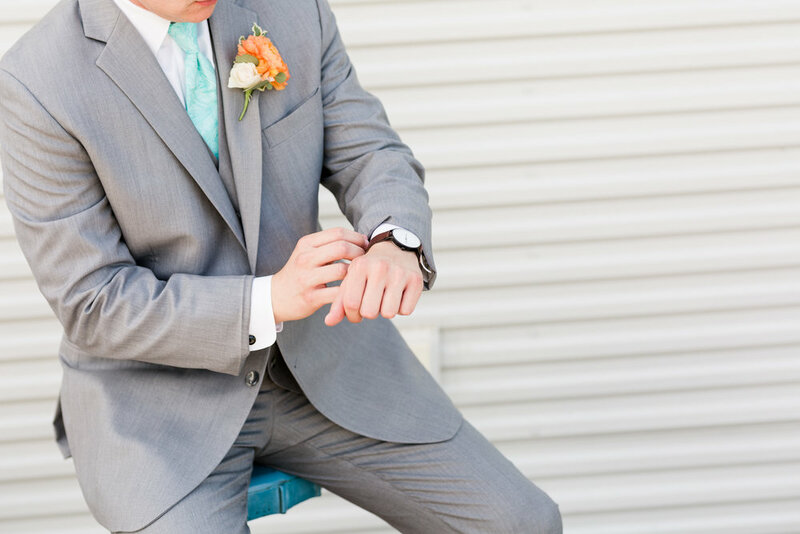 It was so much fun to watch each special moment and gift unfold throughout the day. 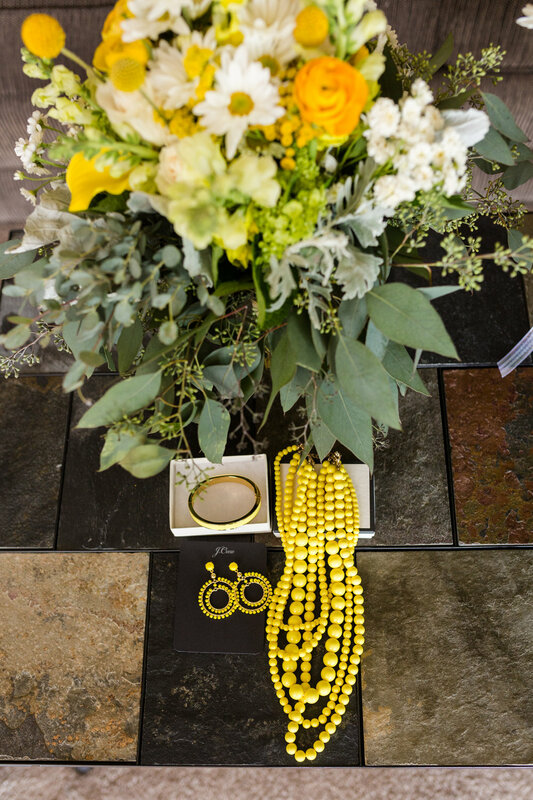 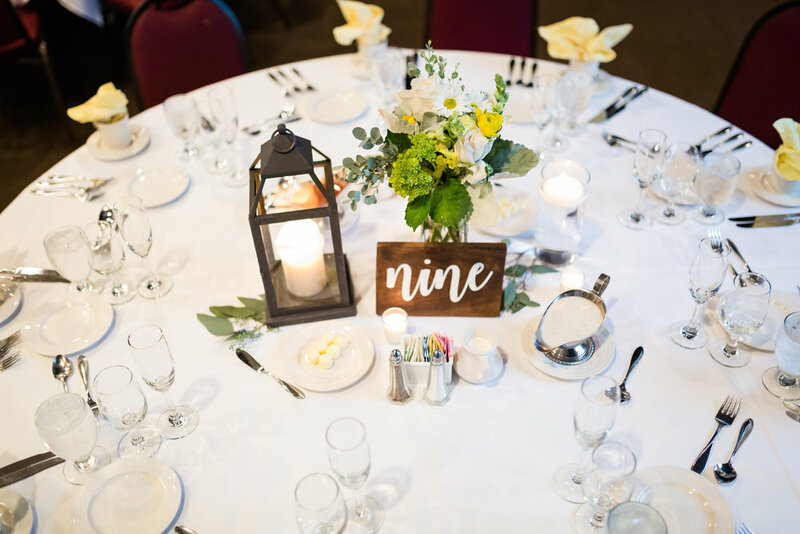 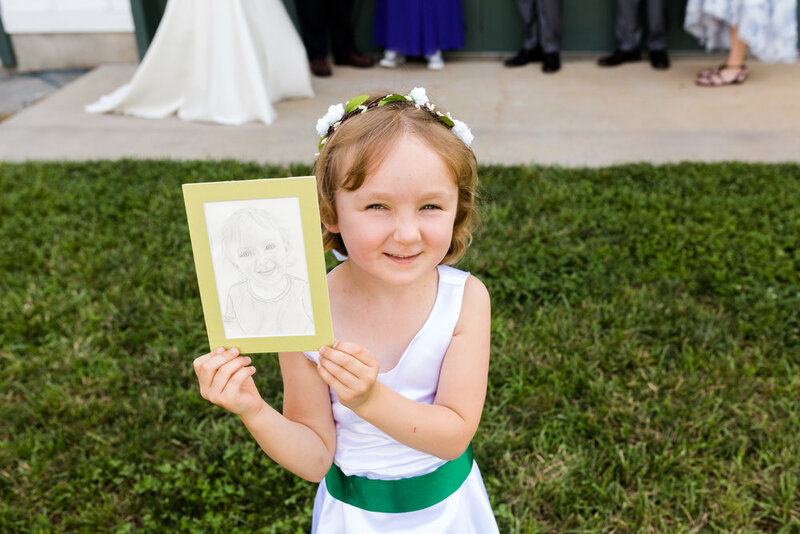 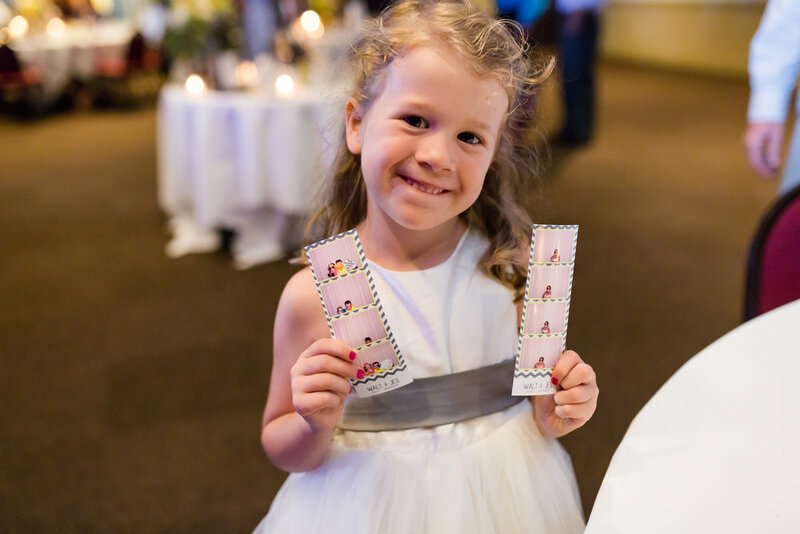 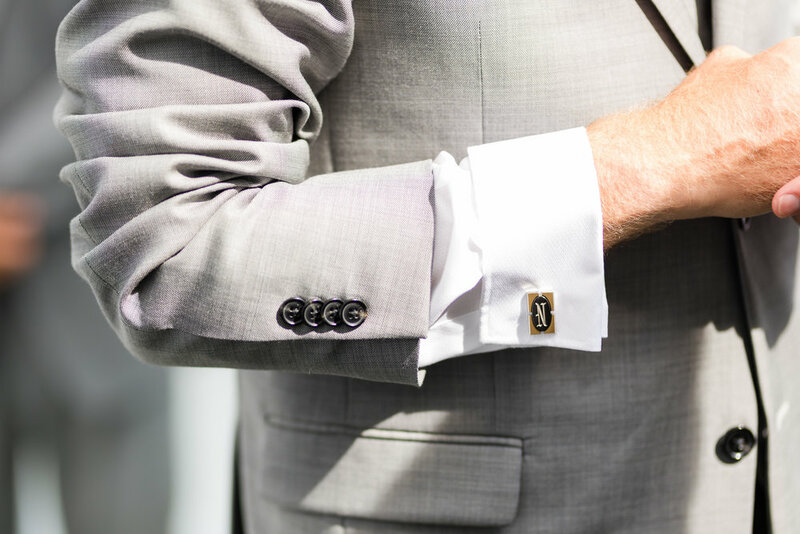 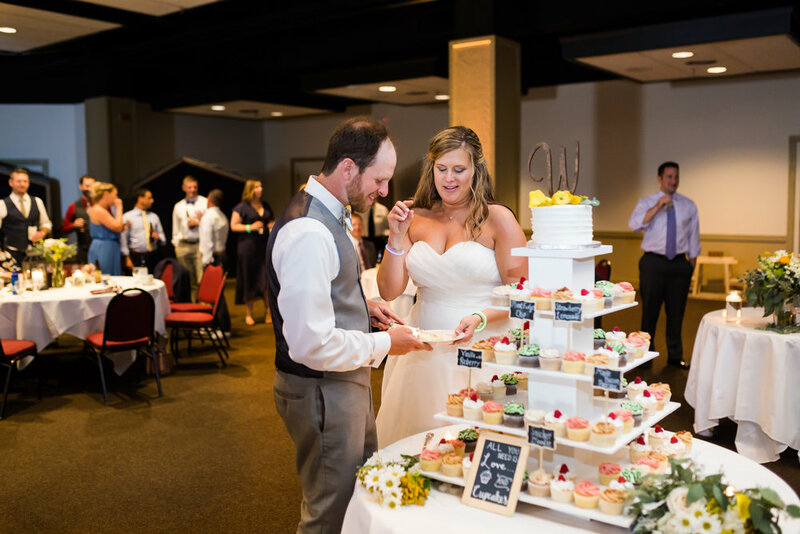 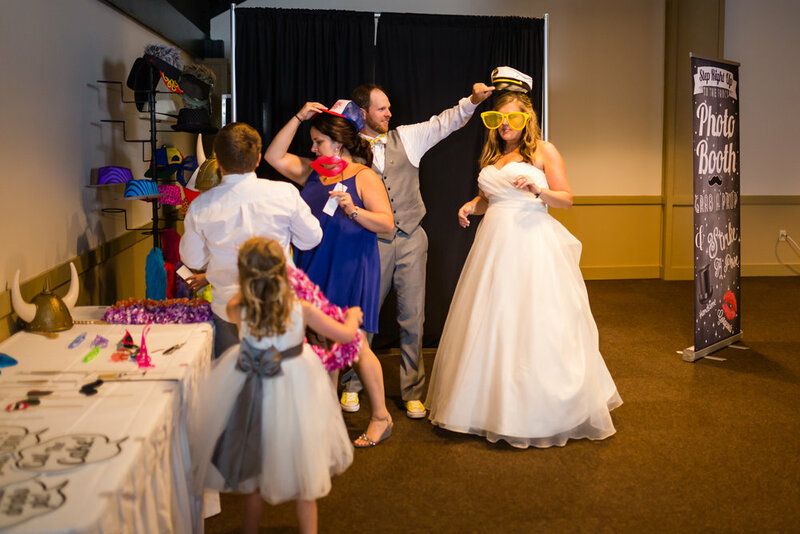 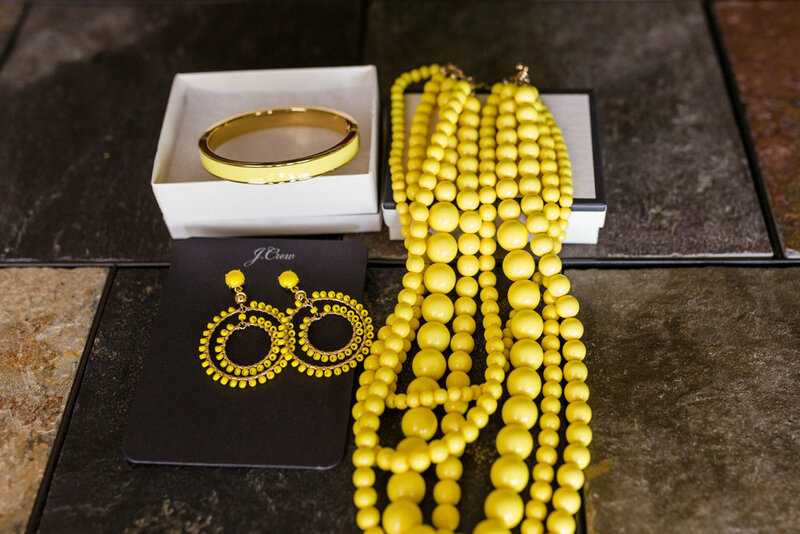 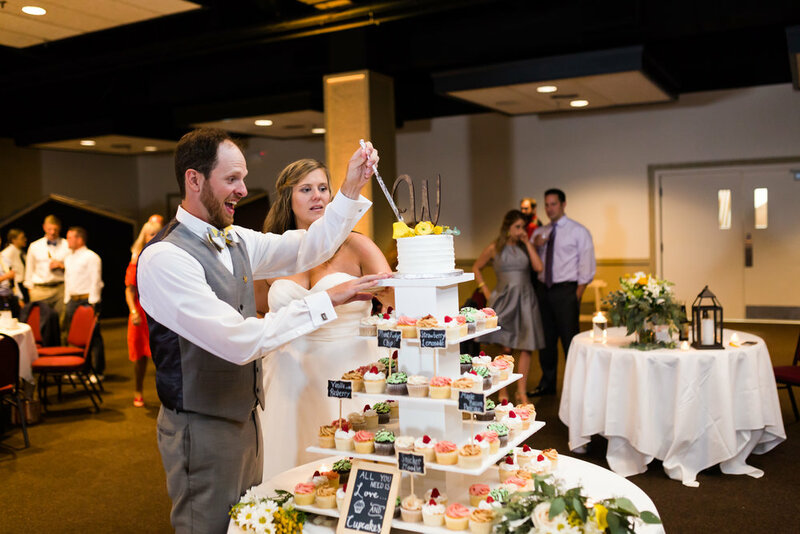 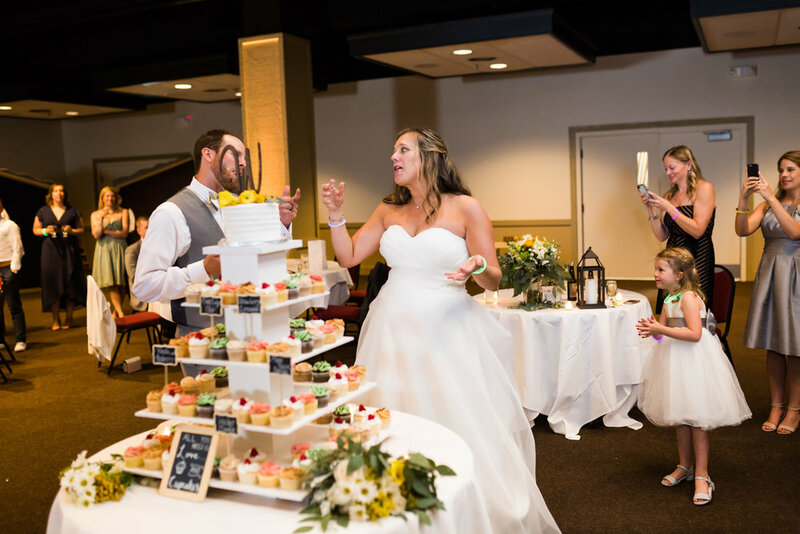 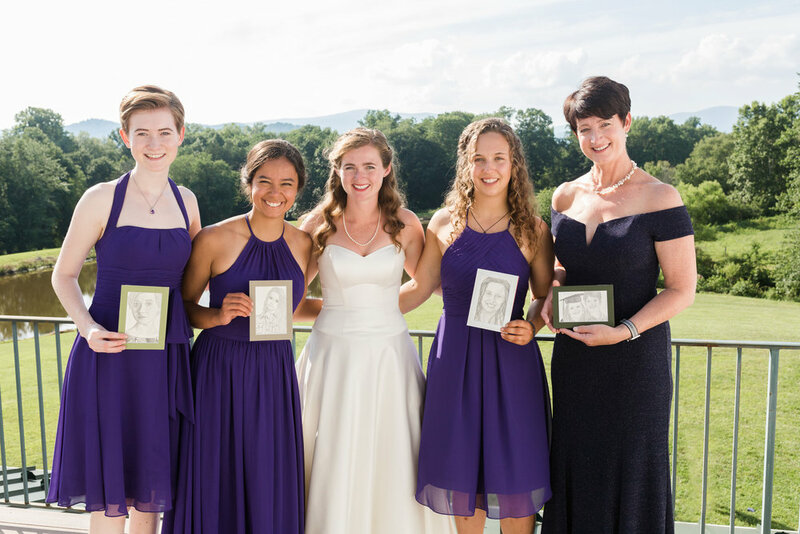 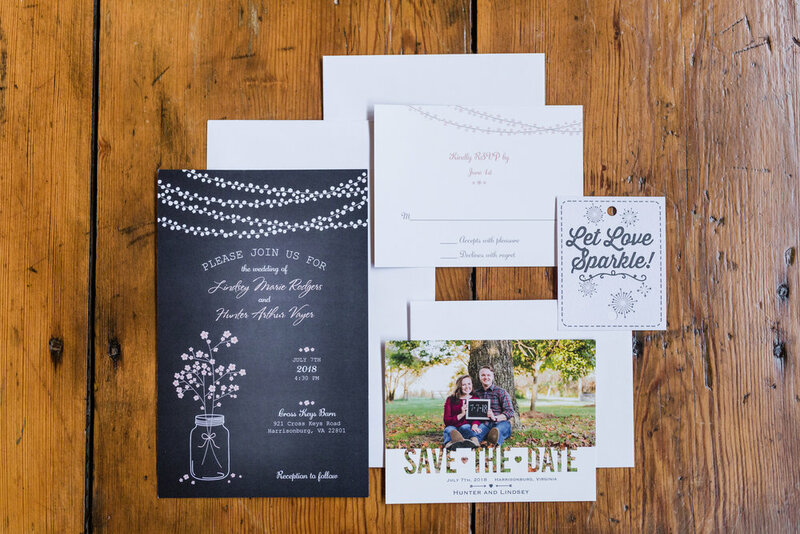 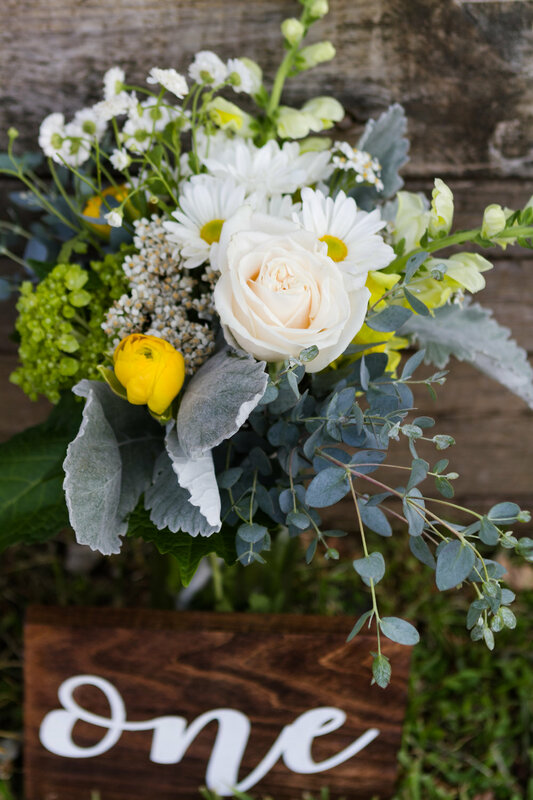 From hand drawn portraits, to personal gifts and letters to family members, a stack of photographs on each table for guests to take home, and so many more special moments. 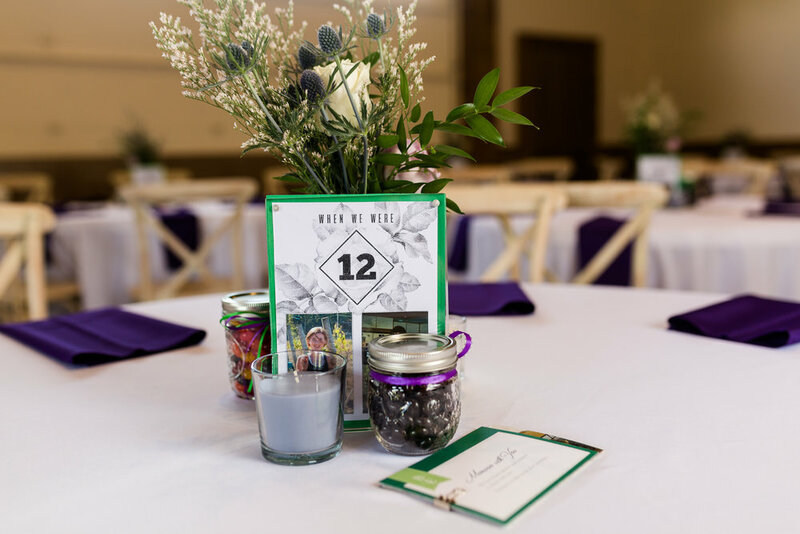 I also adored their table numbers with photos of Bill and Emily at each age and jars of candy!! 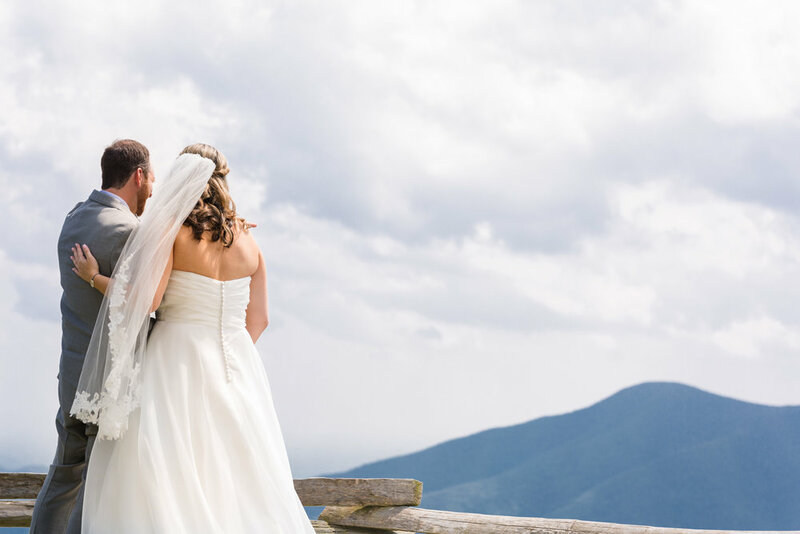 In my last blog post you saw just how epic Emily and Bill's engagement session was, and that view will be hard to beat. 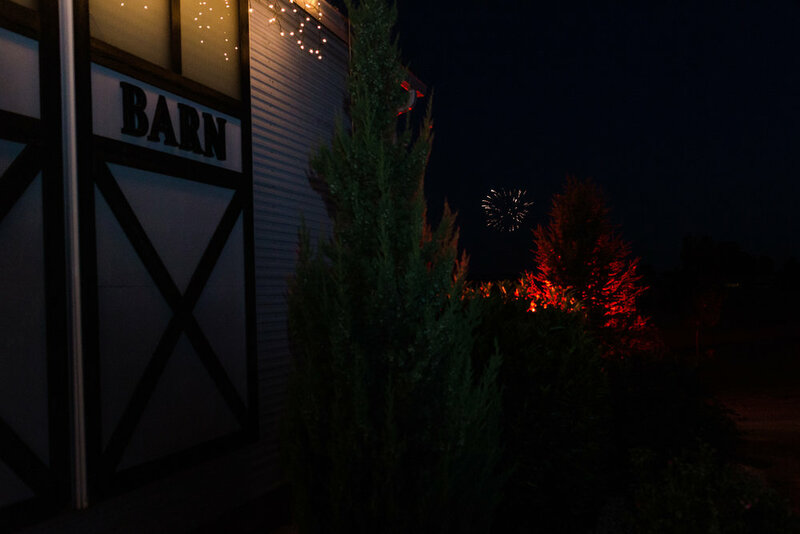 However, golden hour and the sunset at the Barn at Edgewood was a very close second this evening. 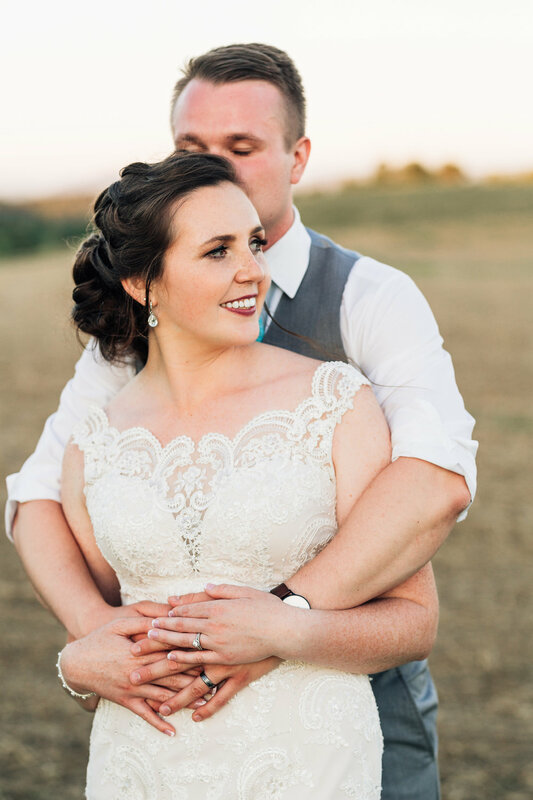 We snuck out of the reception for a quick 5 minutes of photos at the beginning of golden hour and again at sunset. 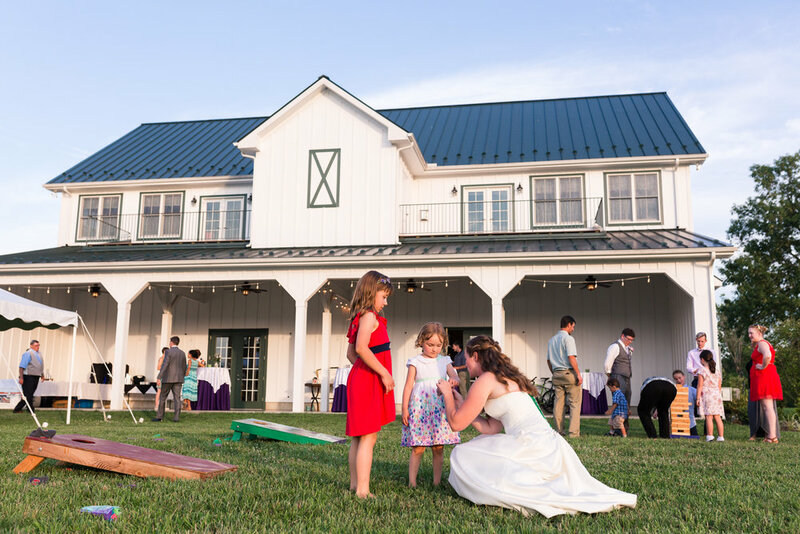 Emily and Bill chose to make their sunset photos their unofficial "exit" of the evening and then joined their guests for lawn games in the back of the venue. 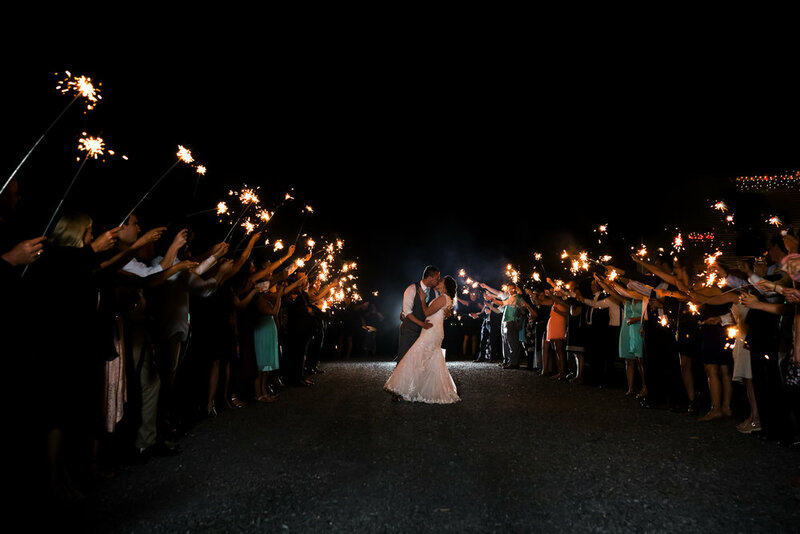 It was really the perfect ending to a perfect wedding day and night.